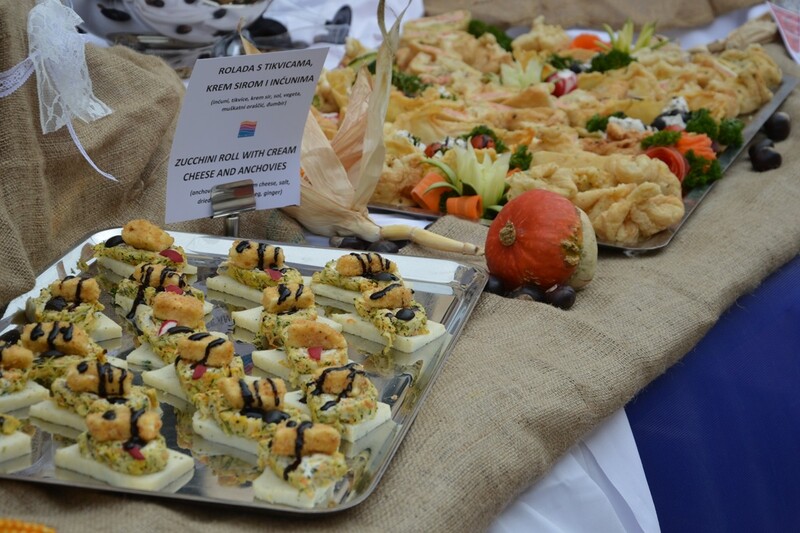 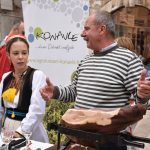 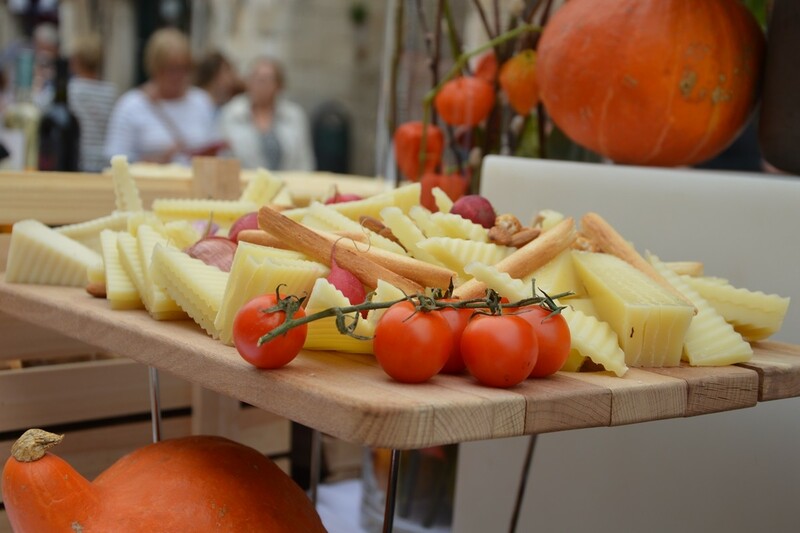 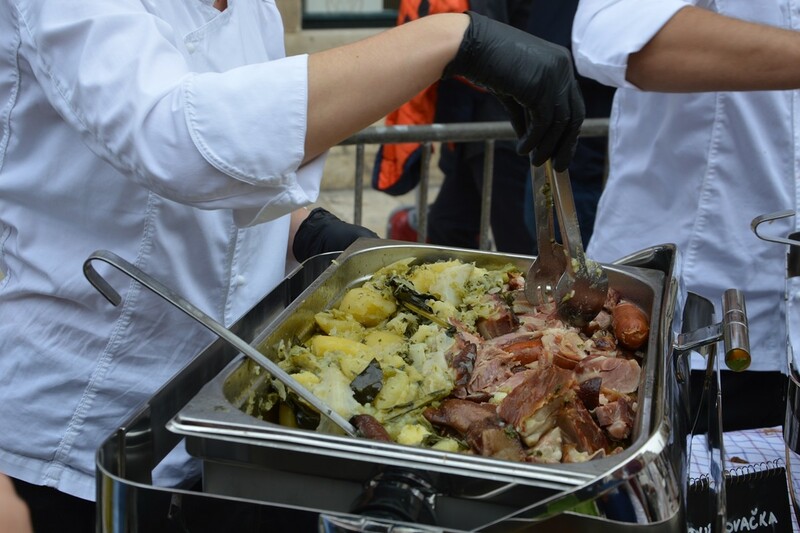 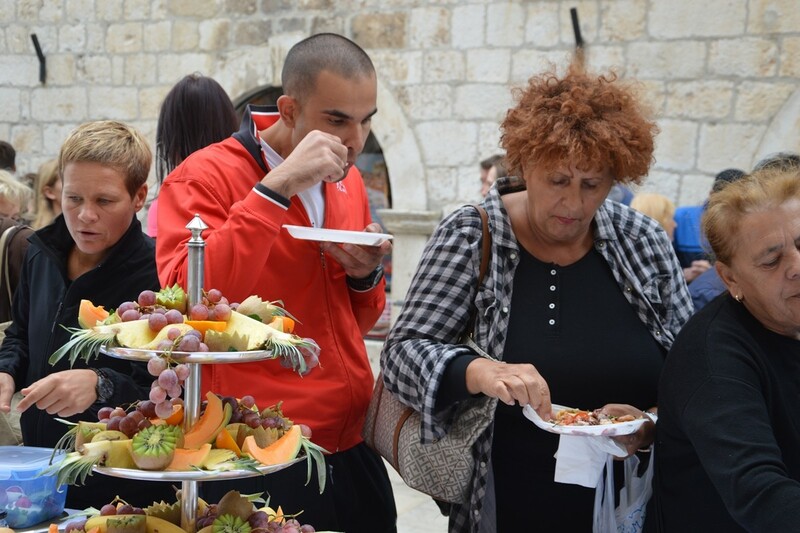 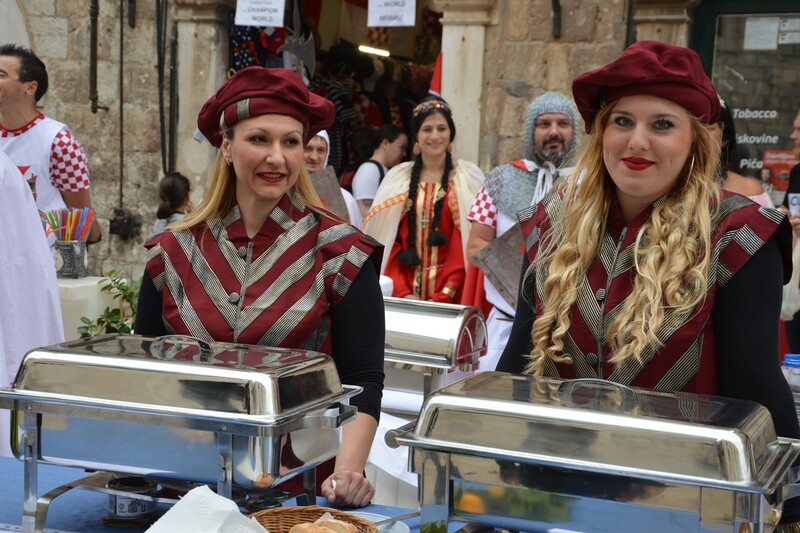 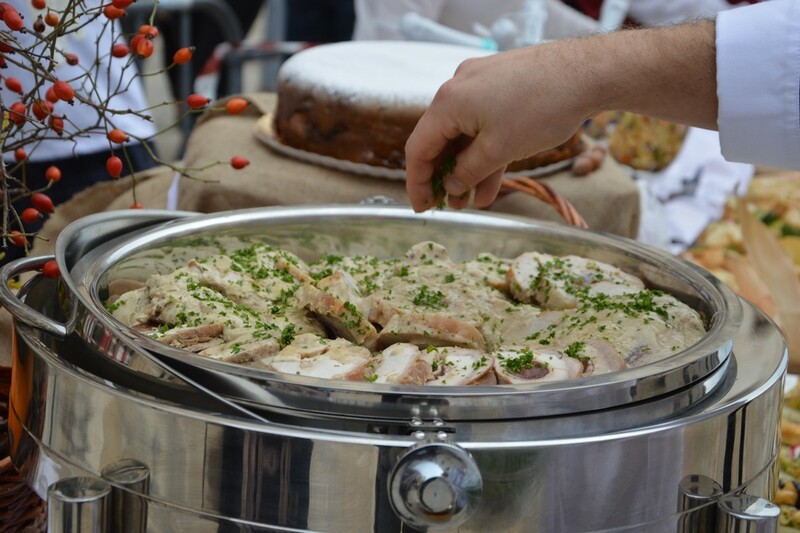 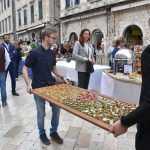 The traditional Dubrovnik Table traditionally takes place on the last day of the Good Food Festival. 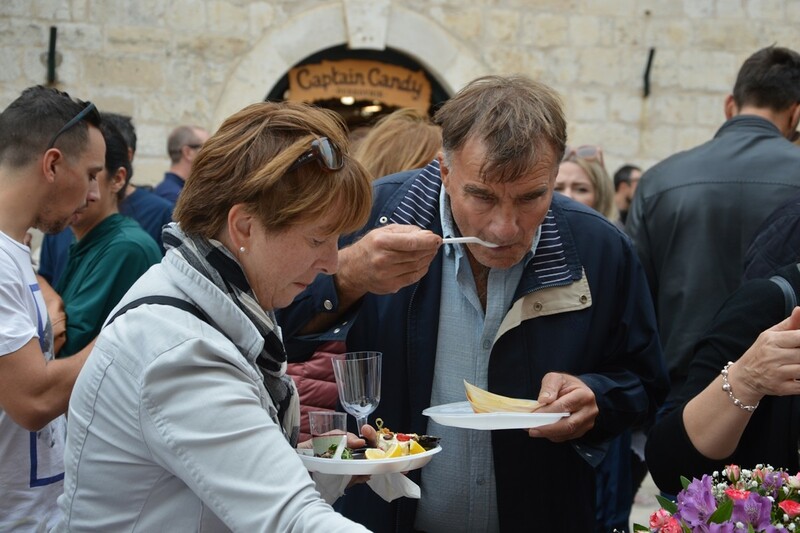 This is considered the highlight of the festival and for some, the favorite part of it. 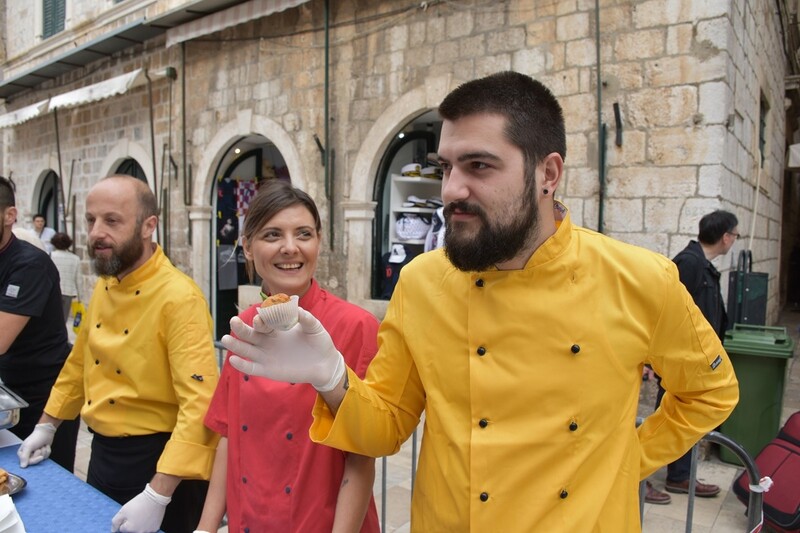 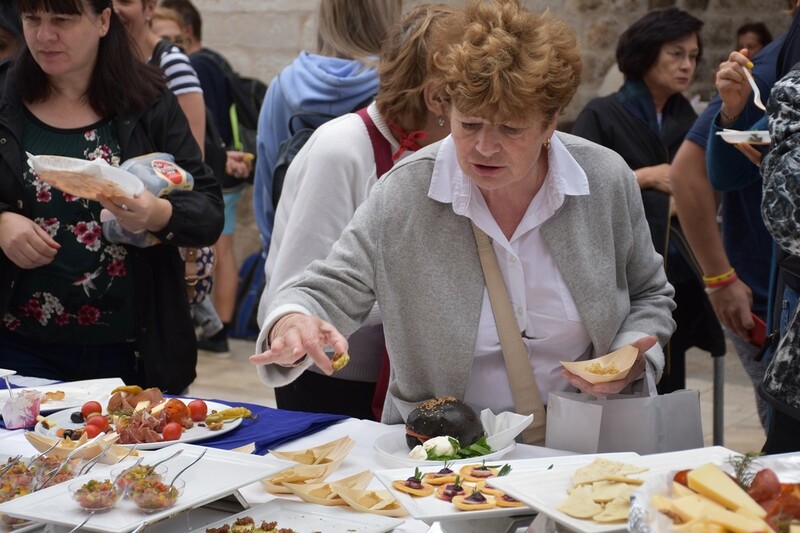 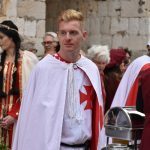 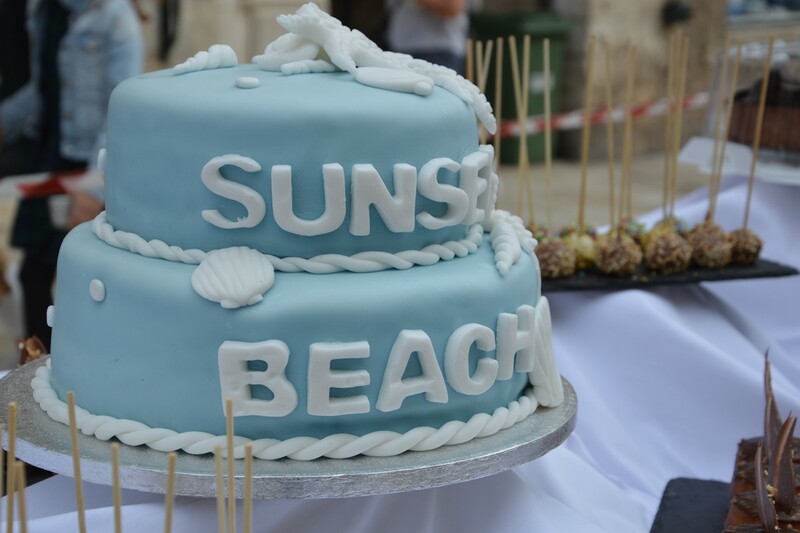 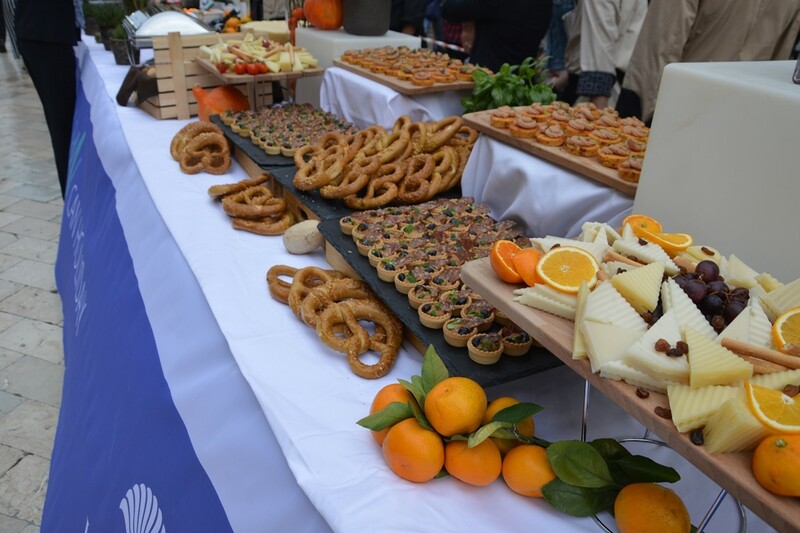 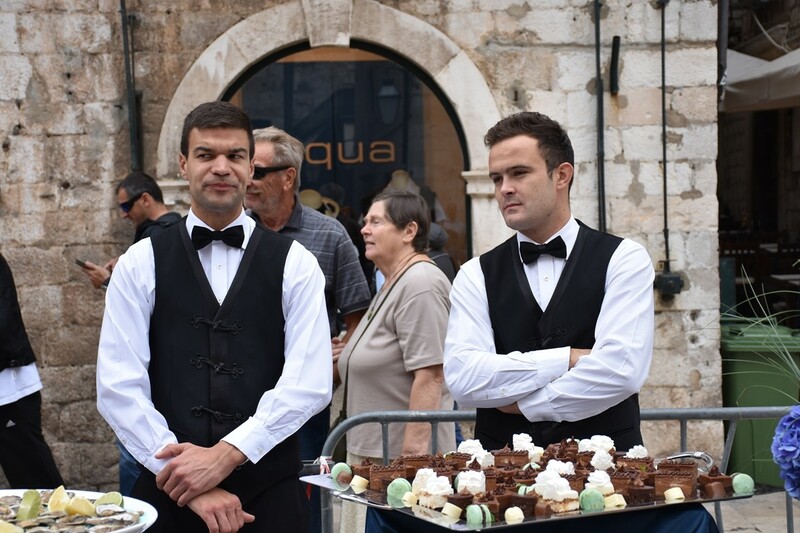 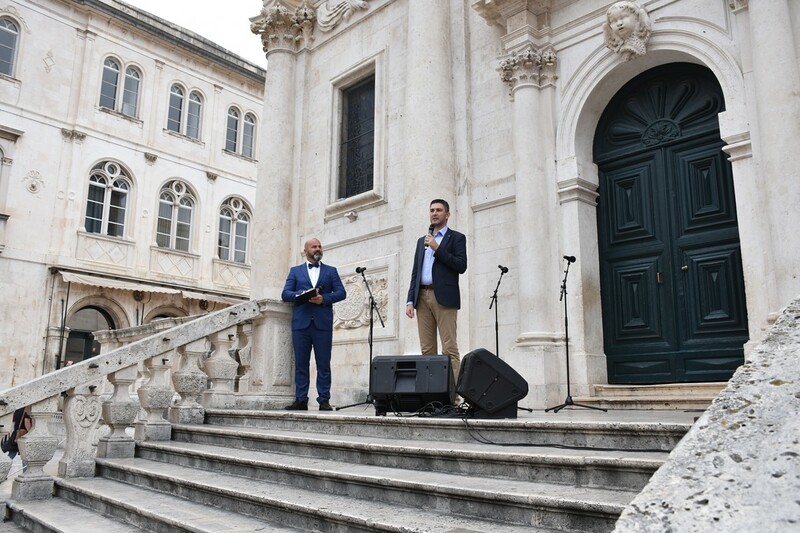 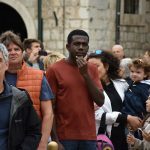 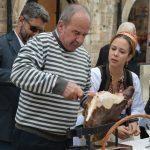 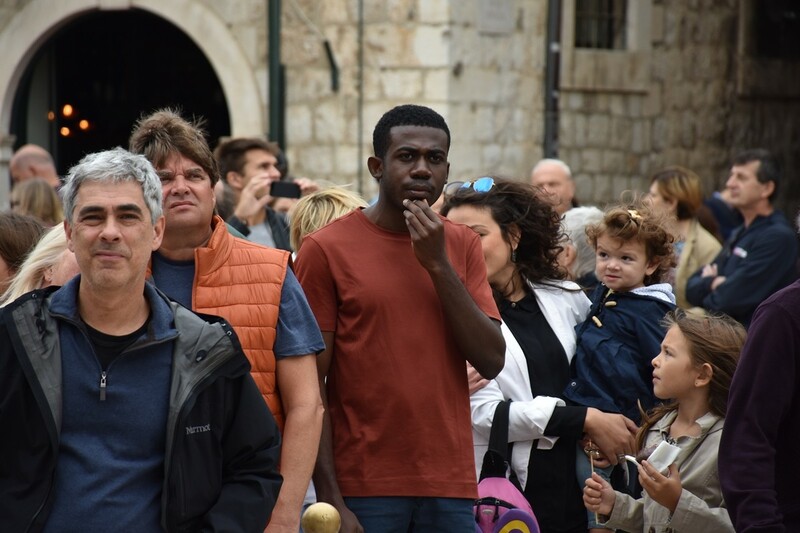 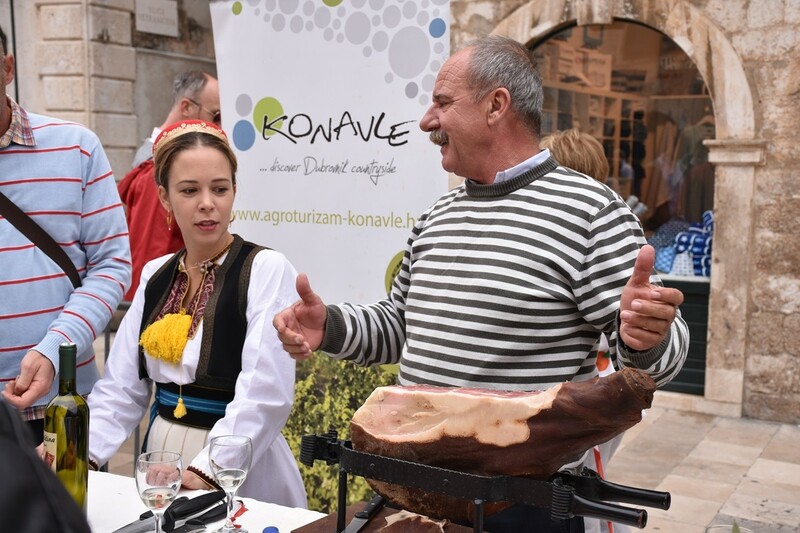 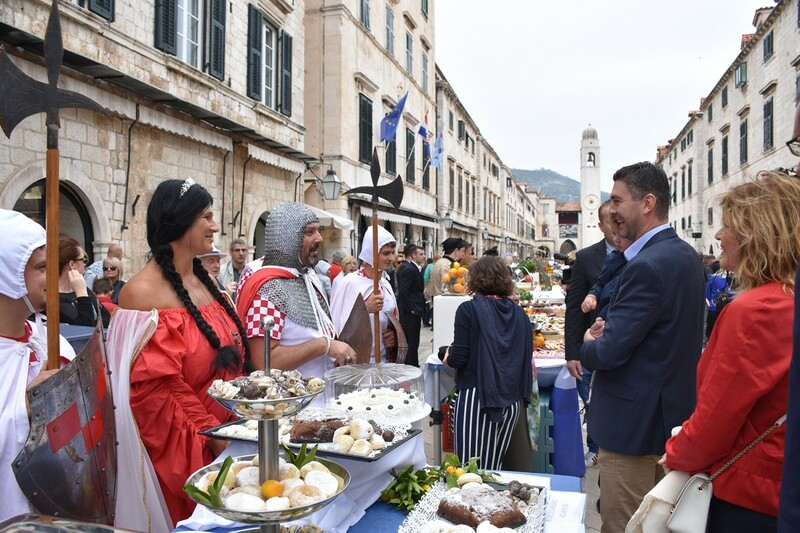 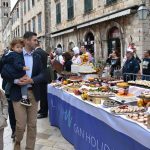 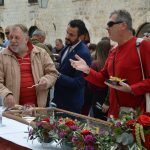 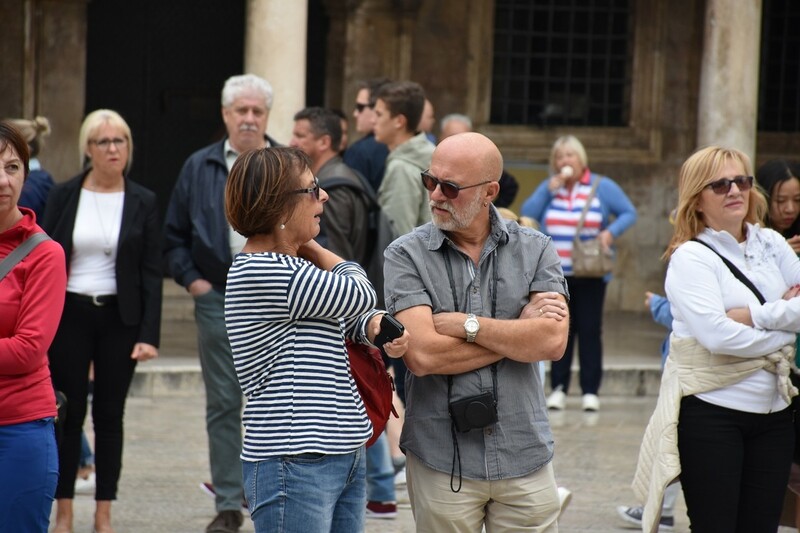 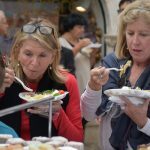 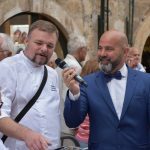 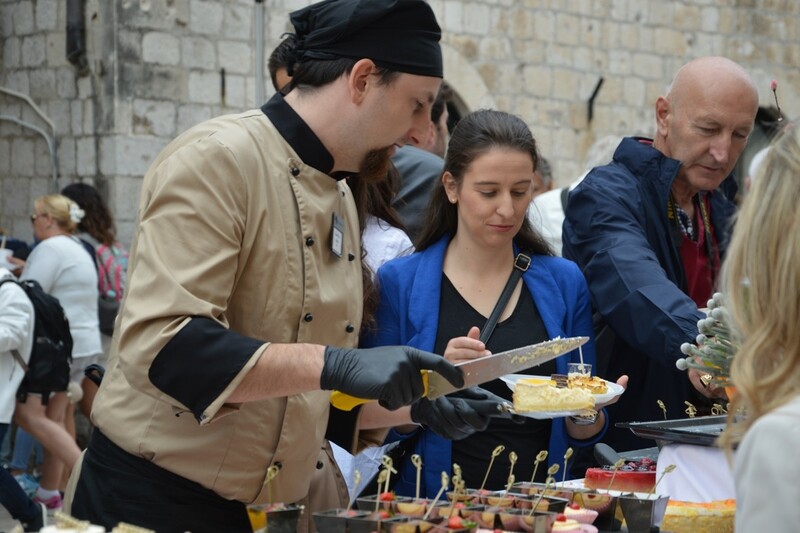 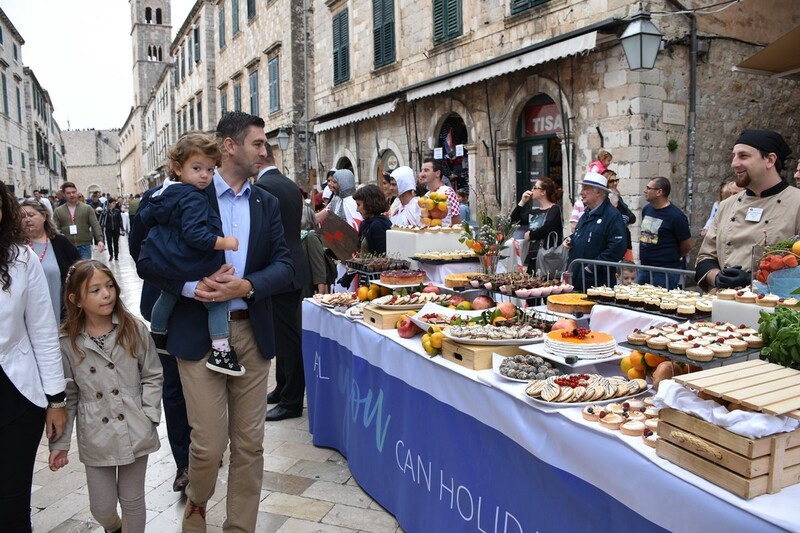 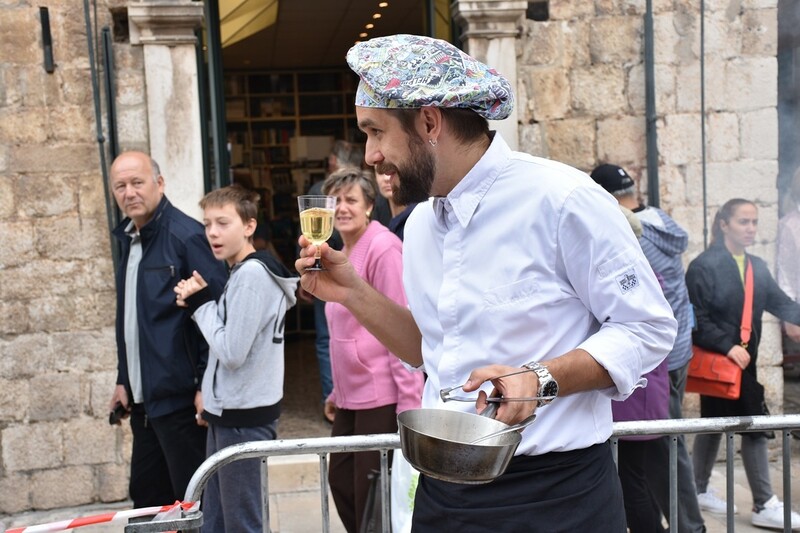 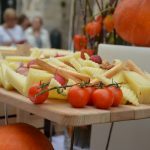 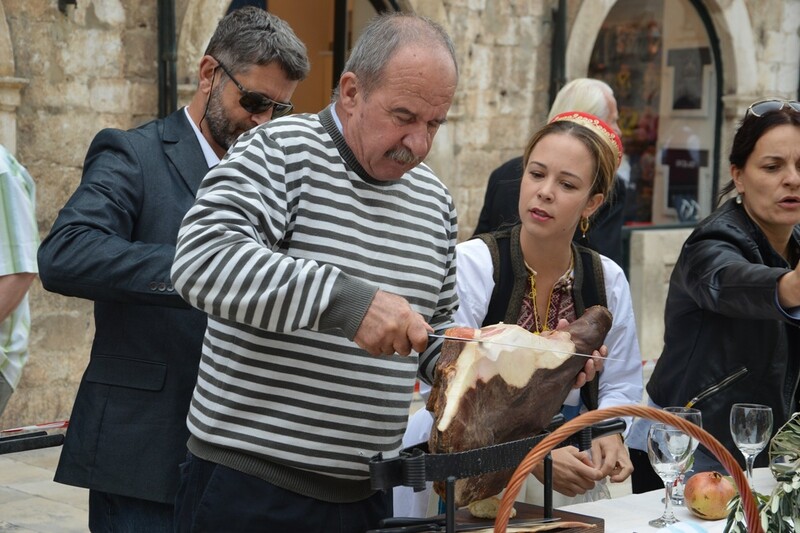 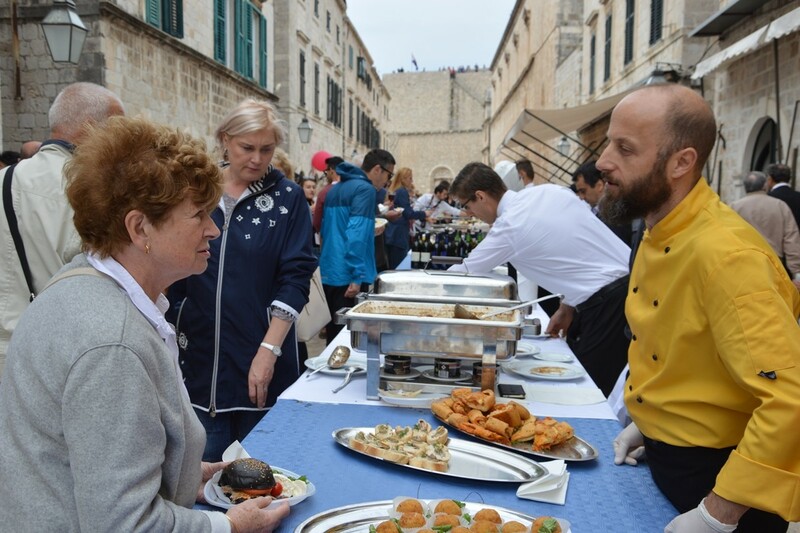 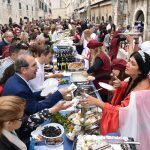 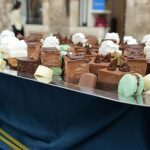 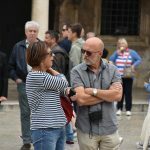 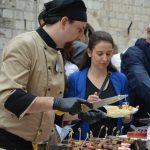 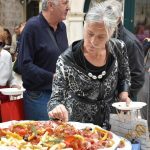 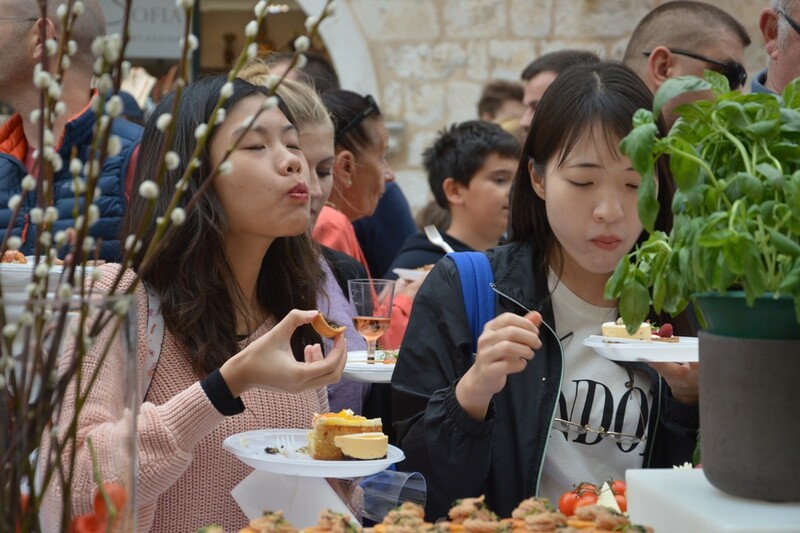 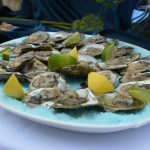 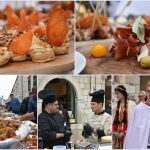 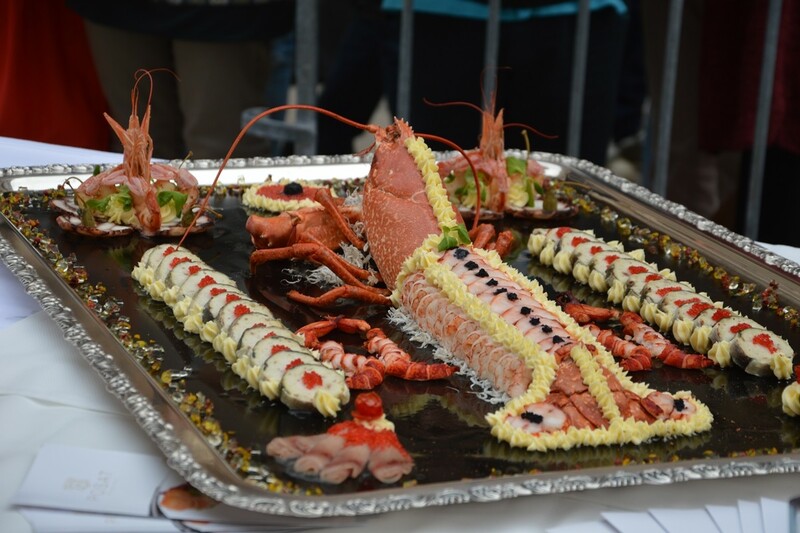 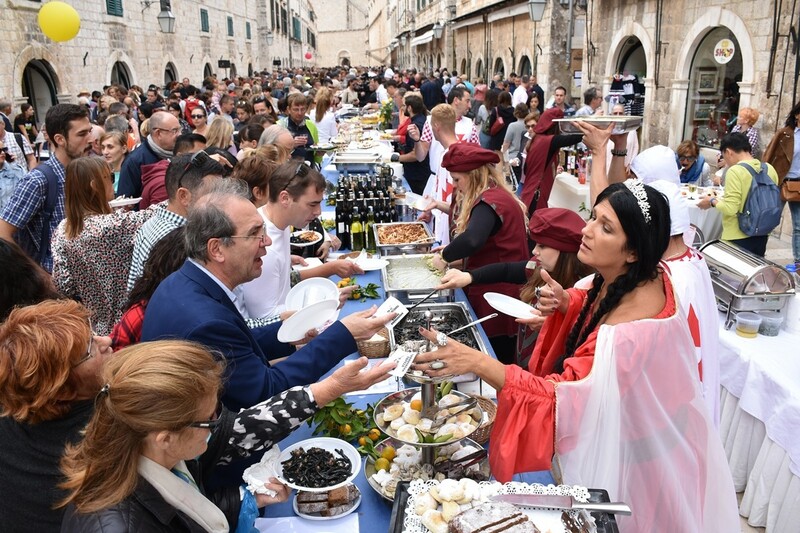 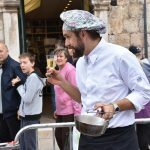 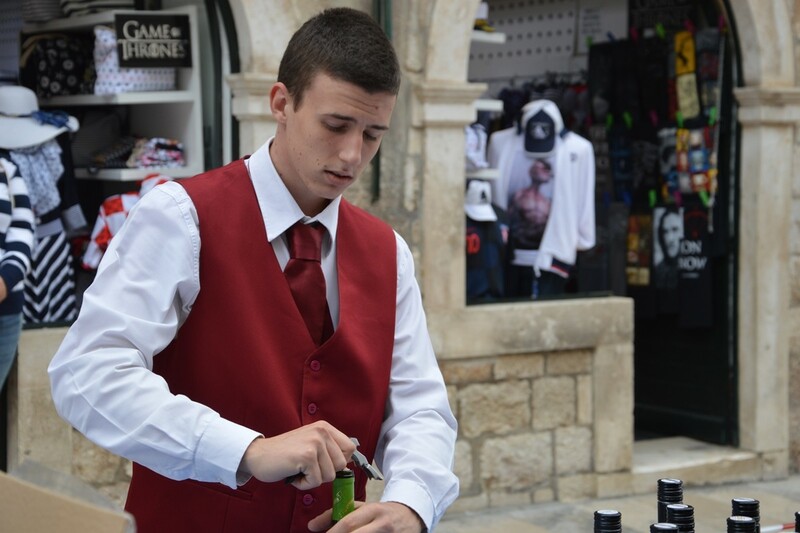 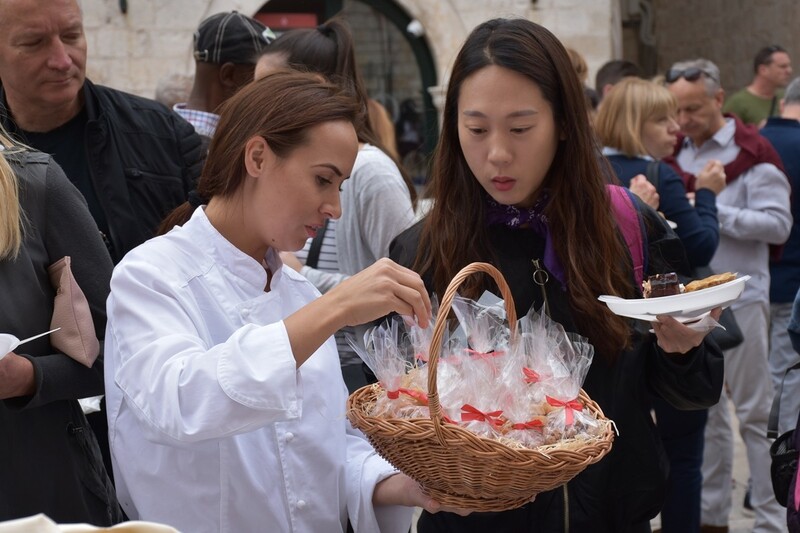 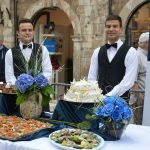 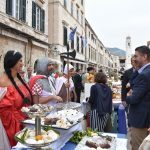 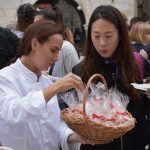 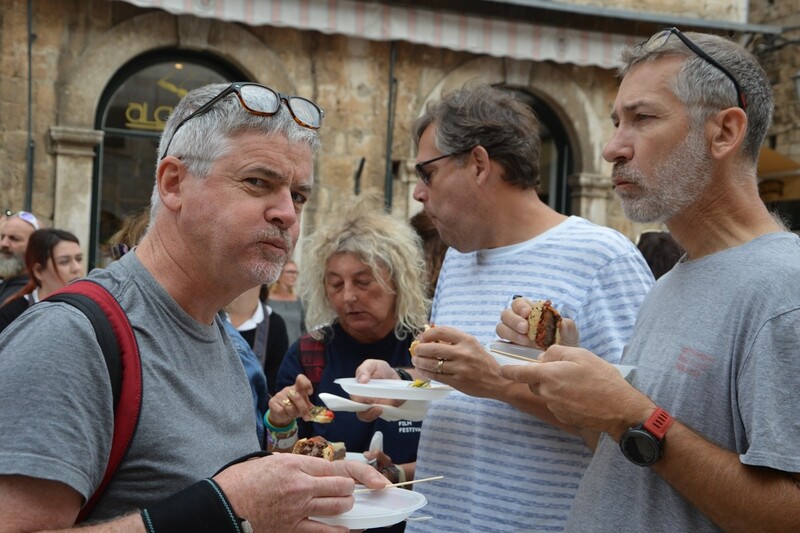 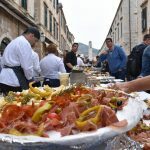 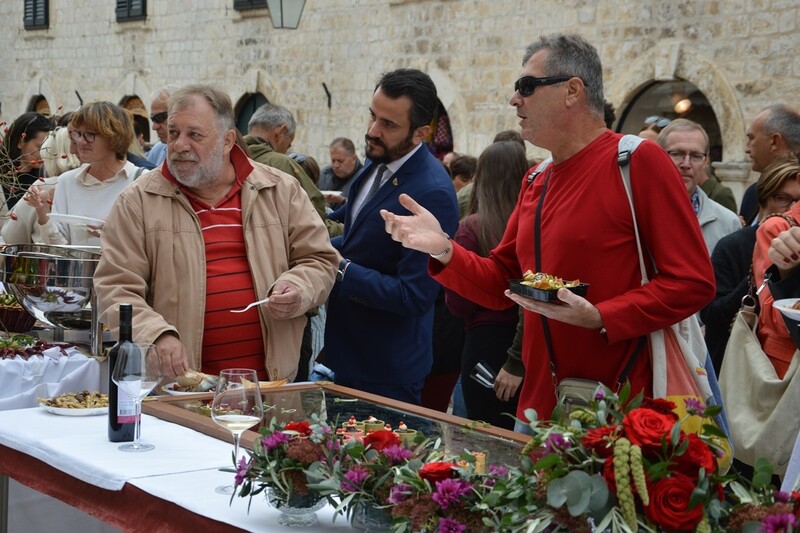 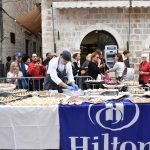 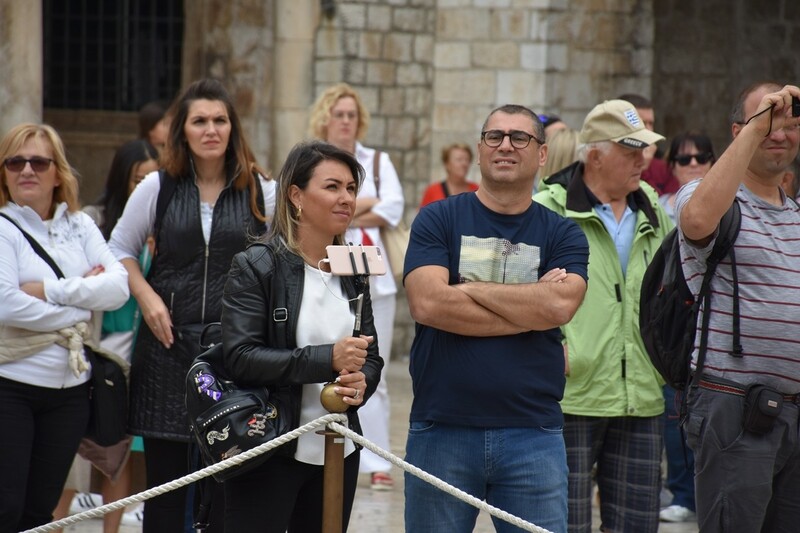 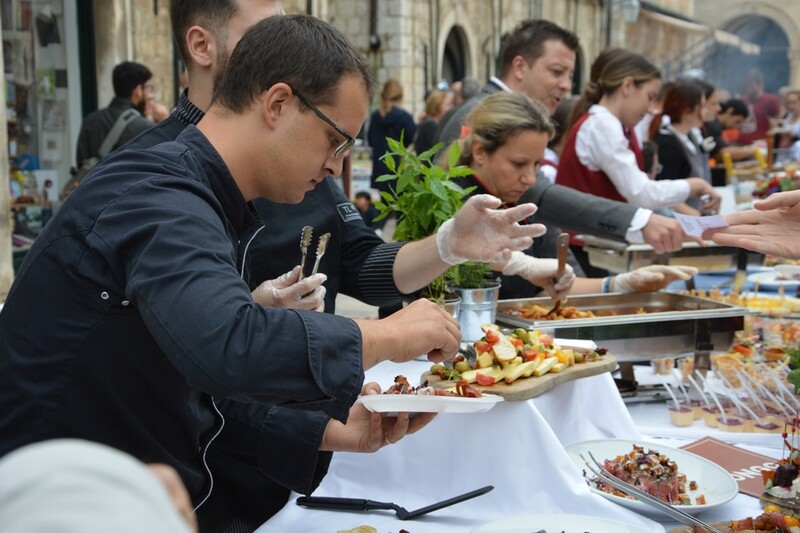 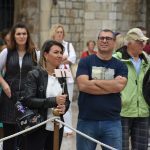 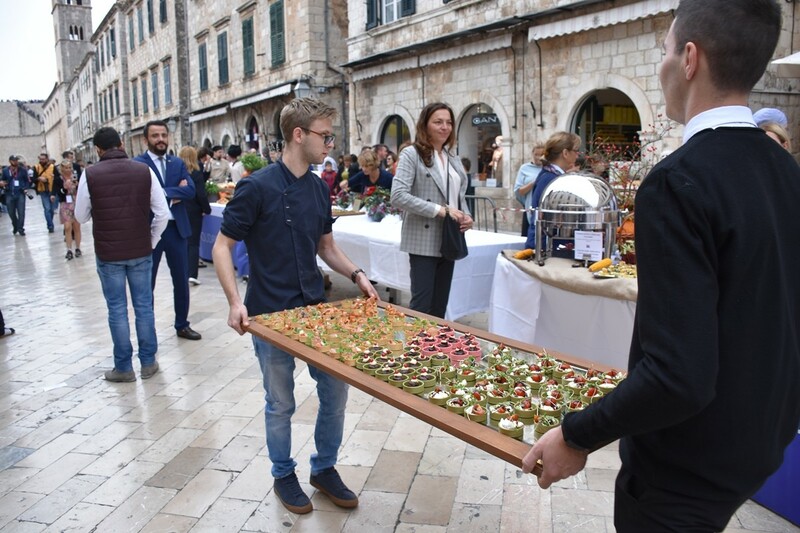 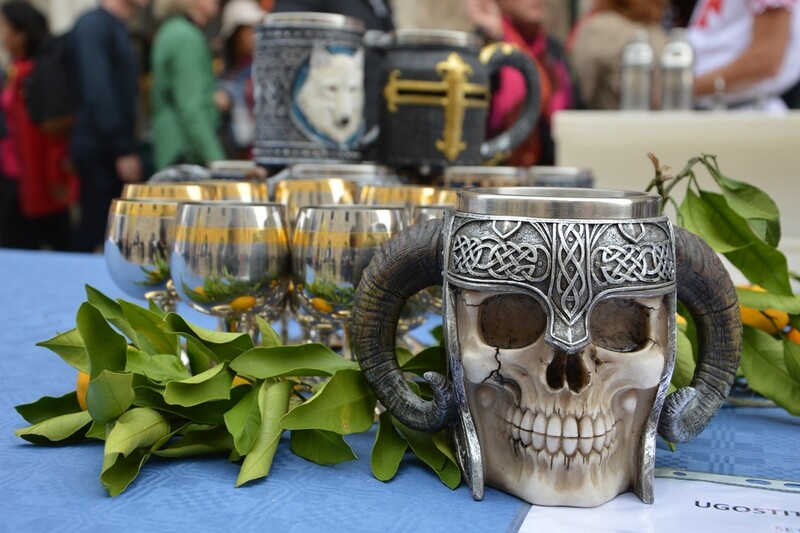 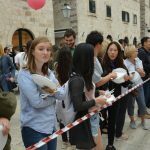 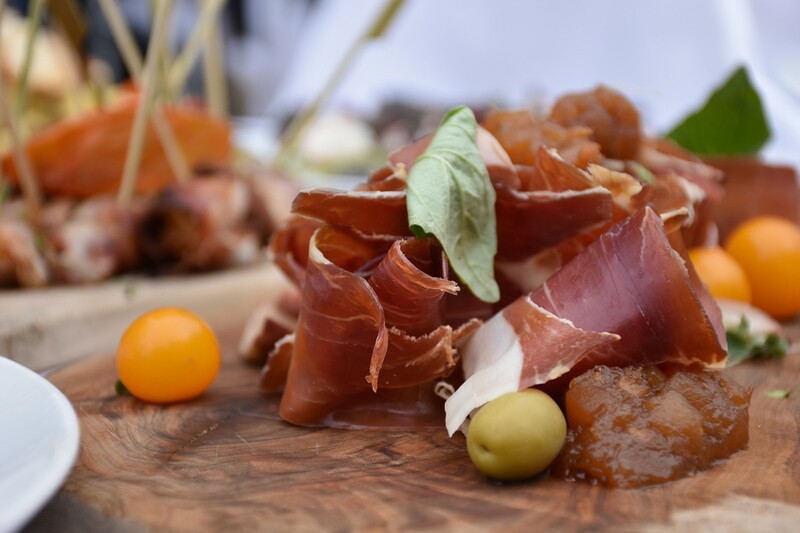 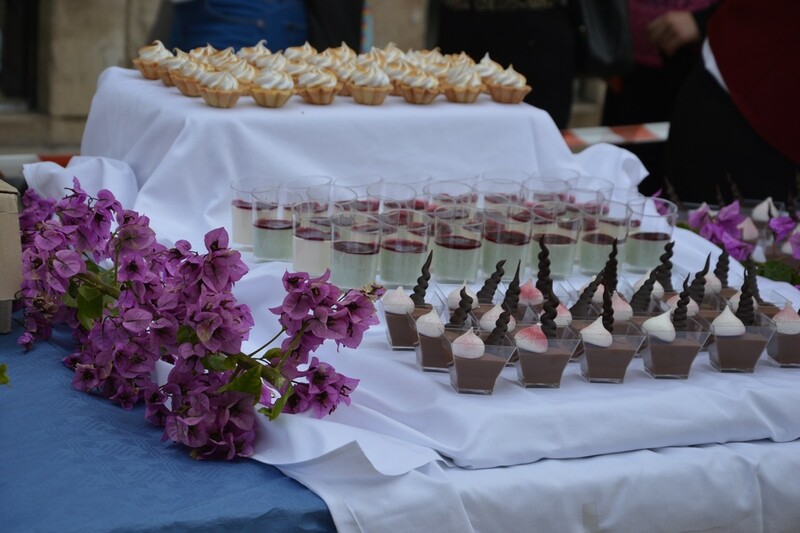 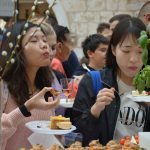 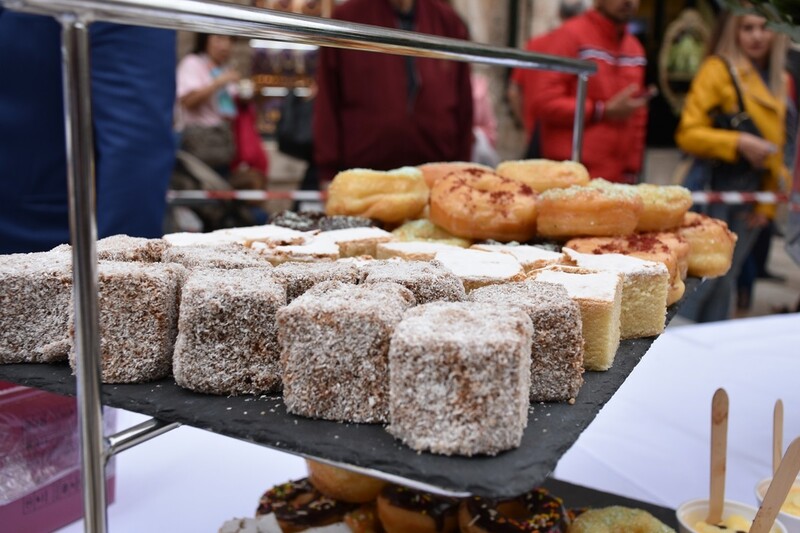 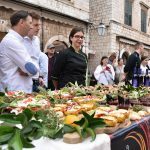 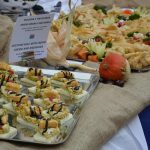 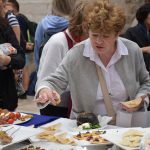 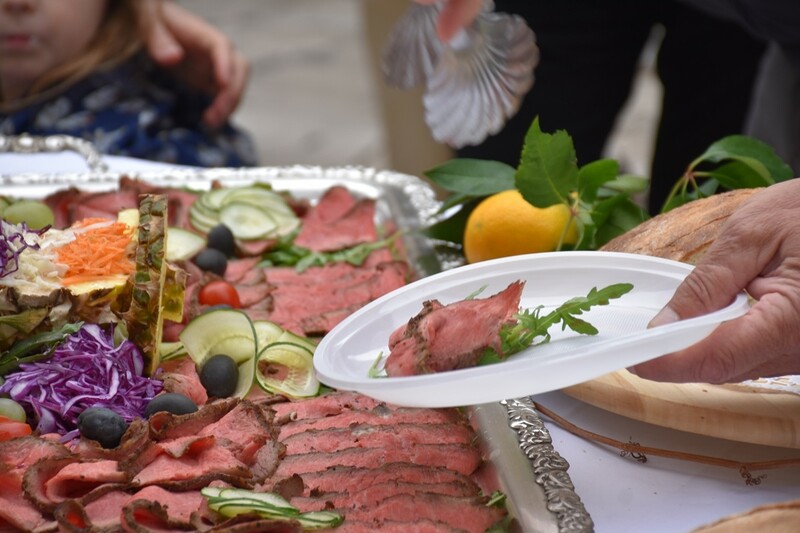 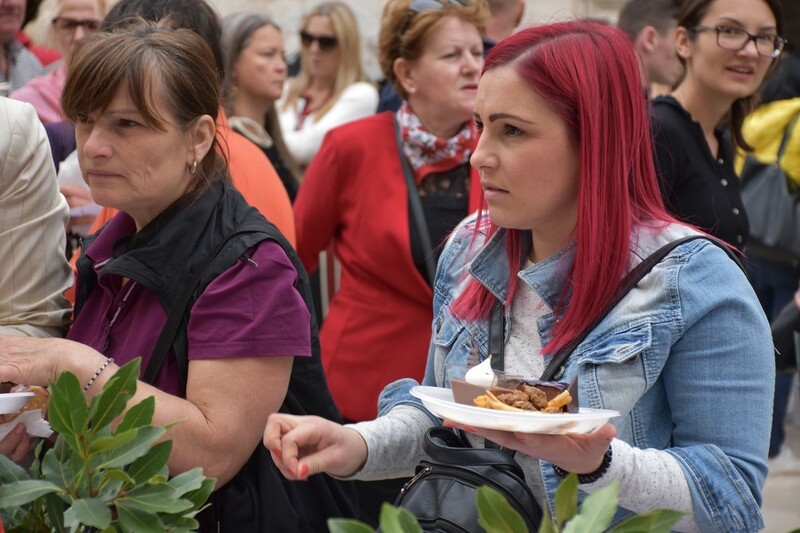 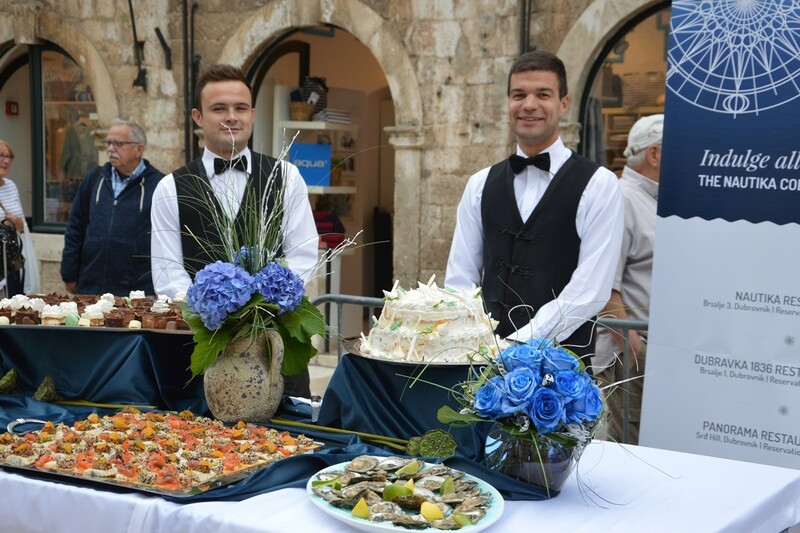 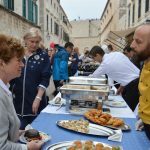 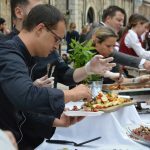 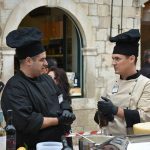 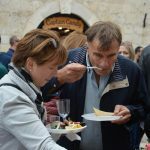 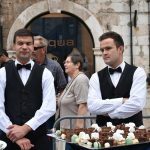 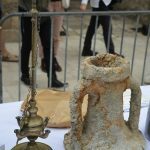 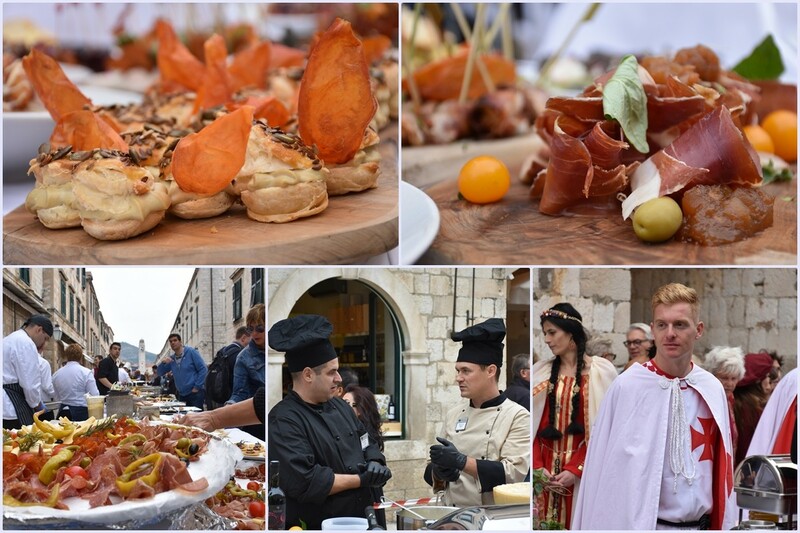 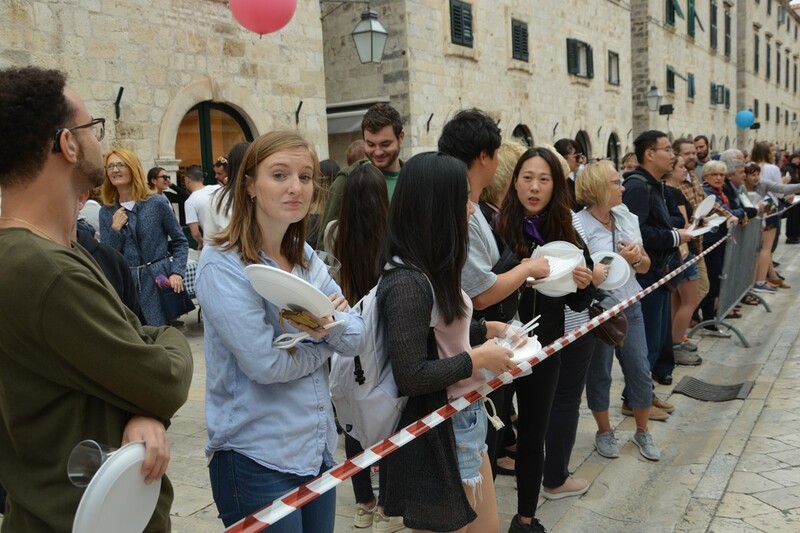 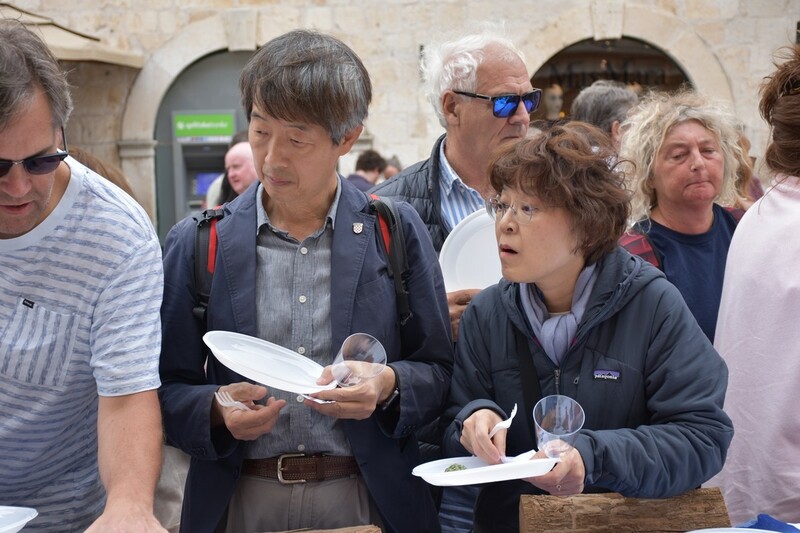 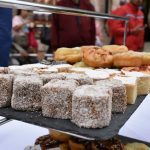 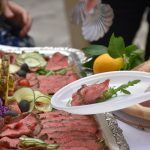 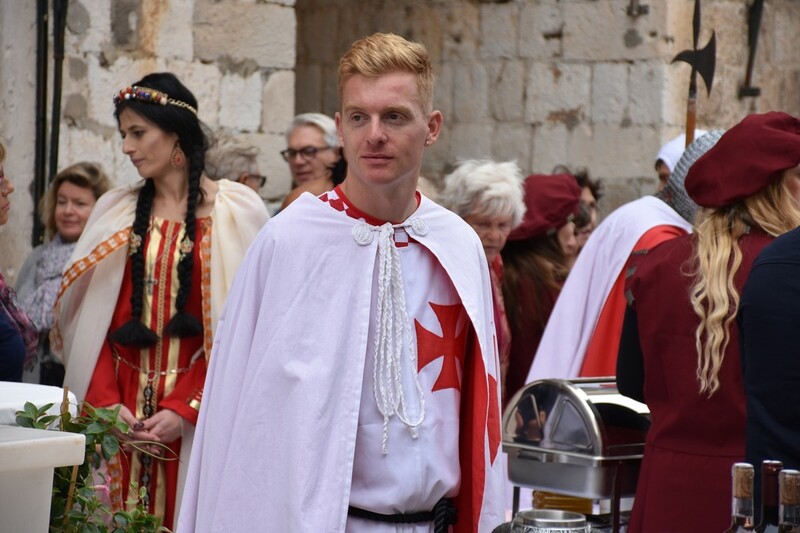 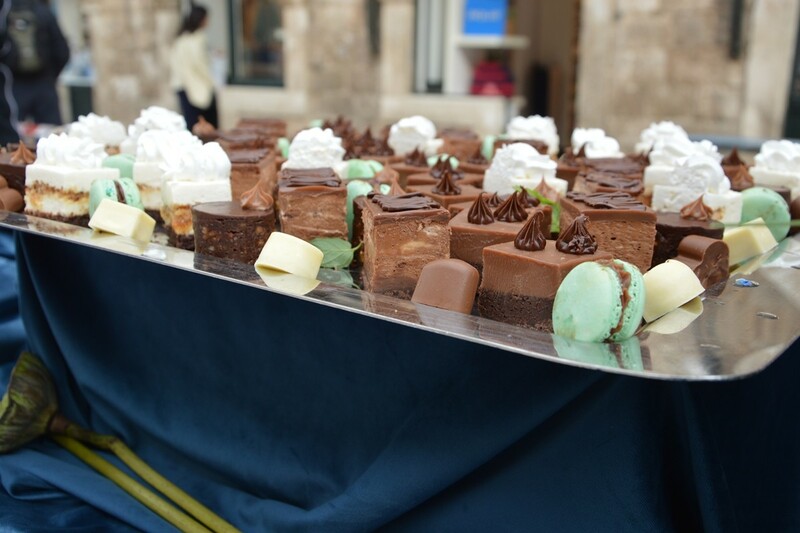 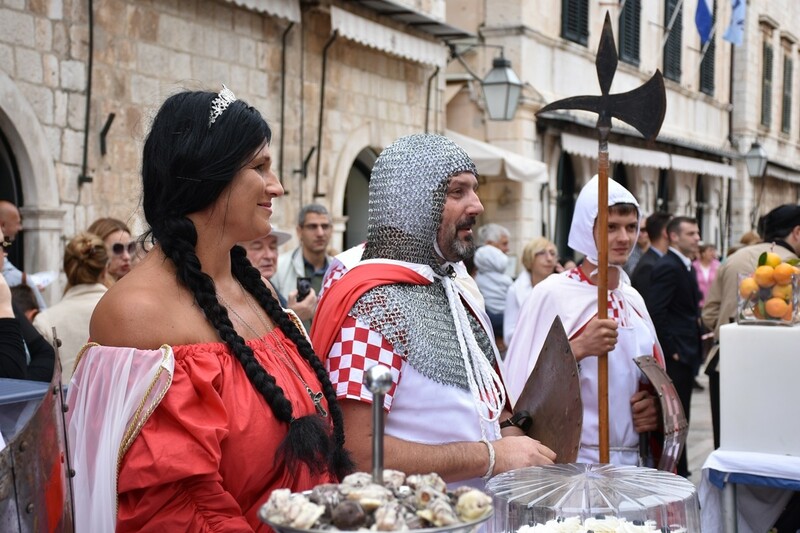 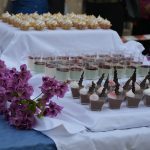 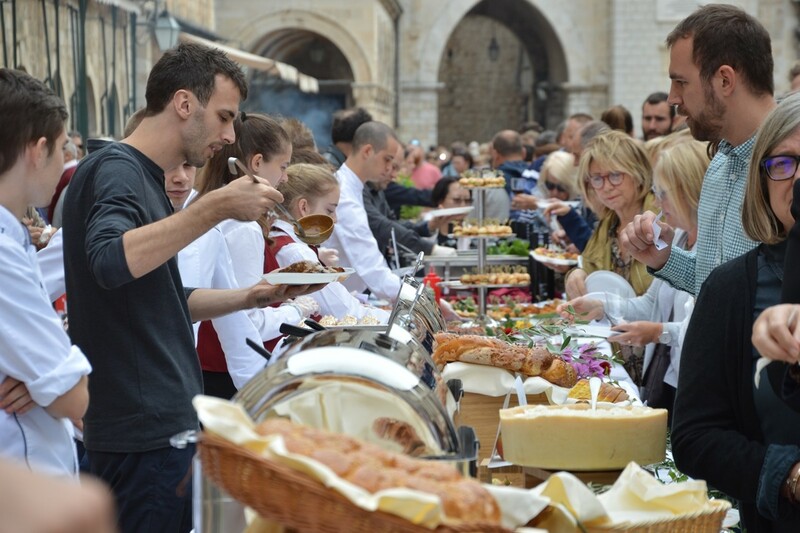 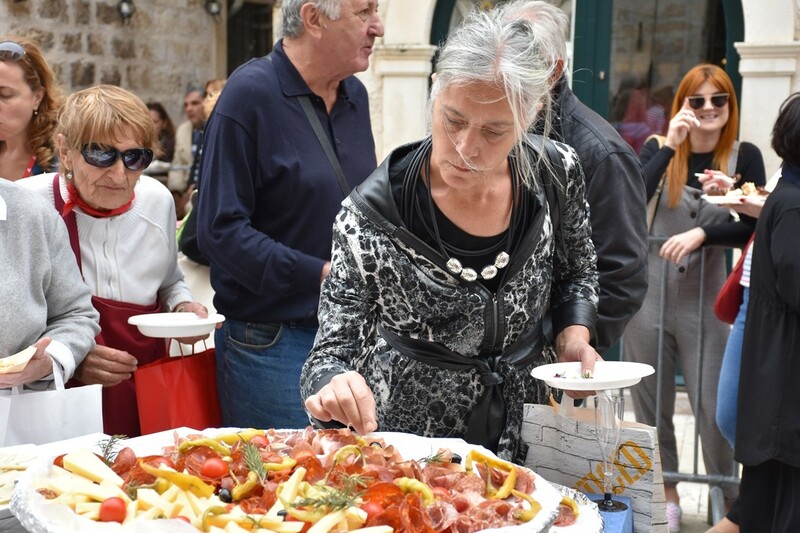 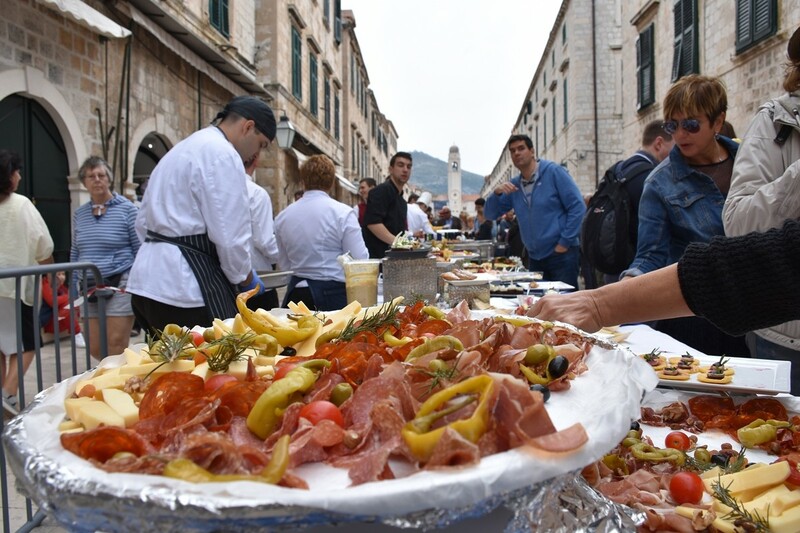 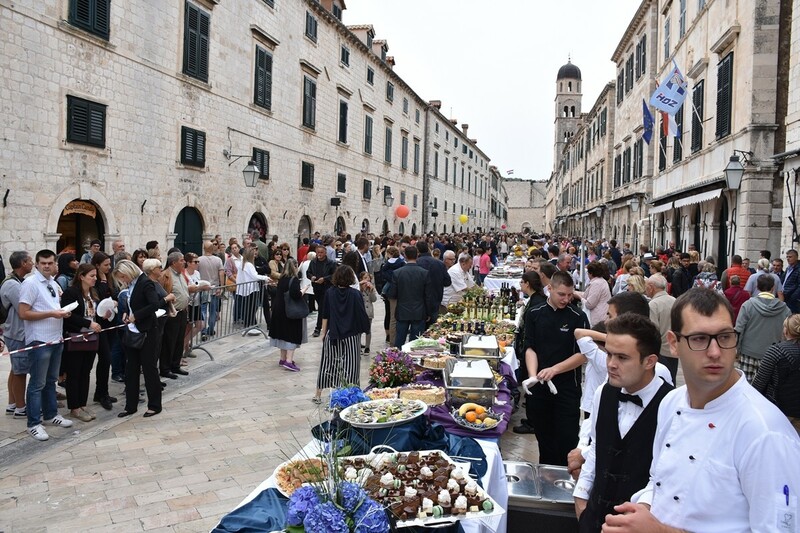 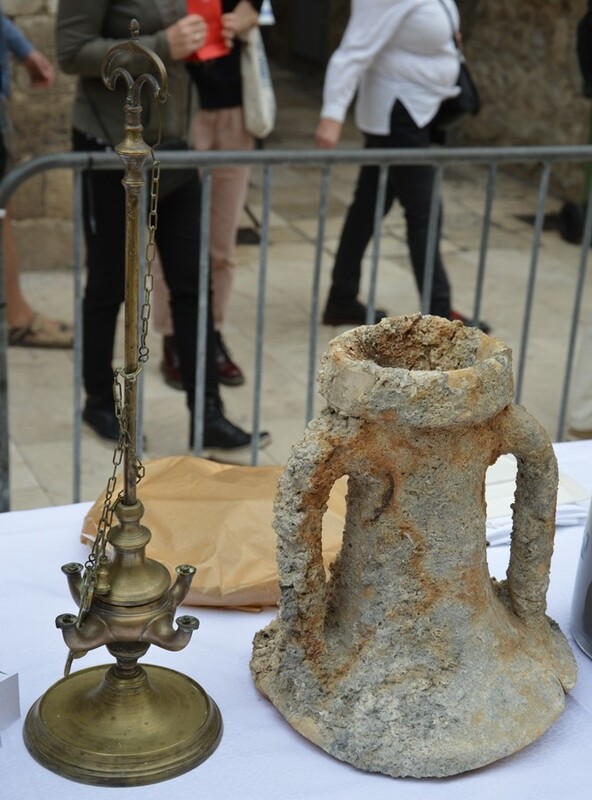 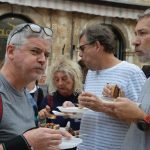 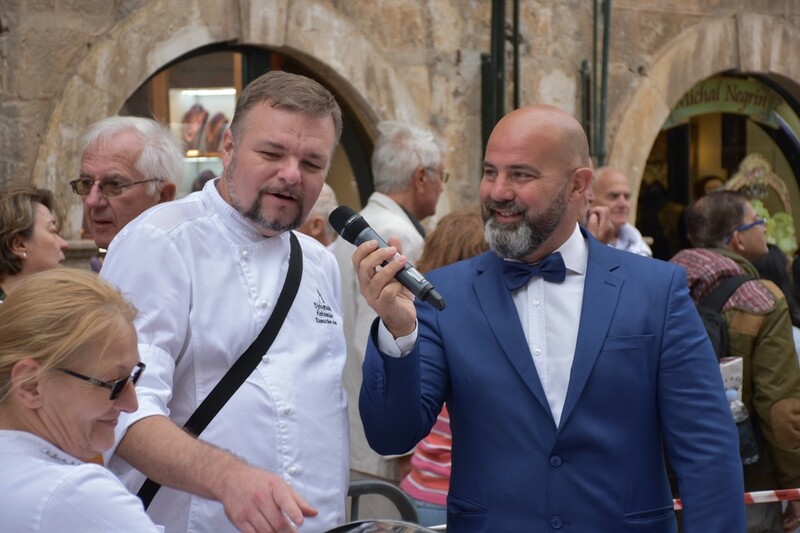 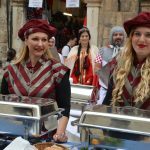 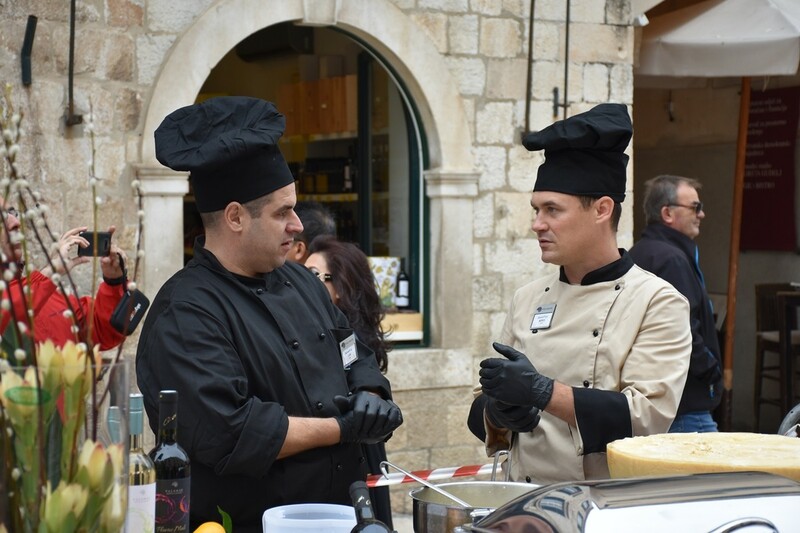 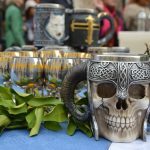 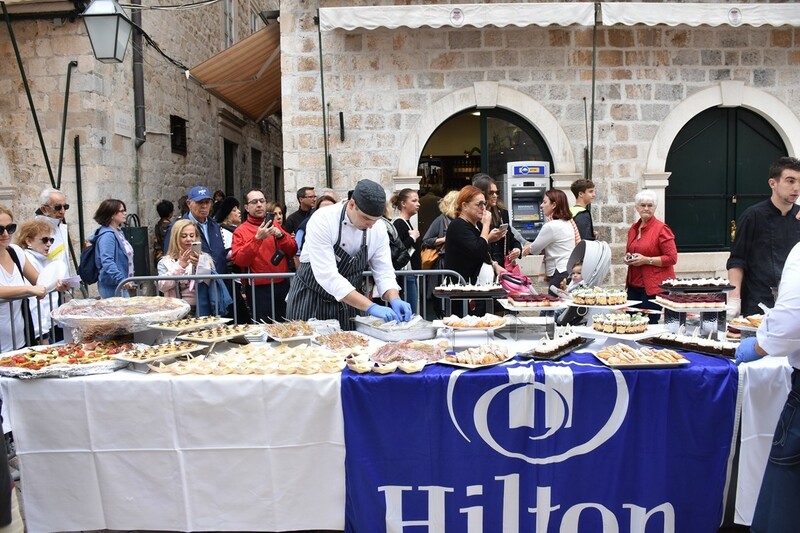 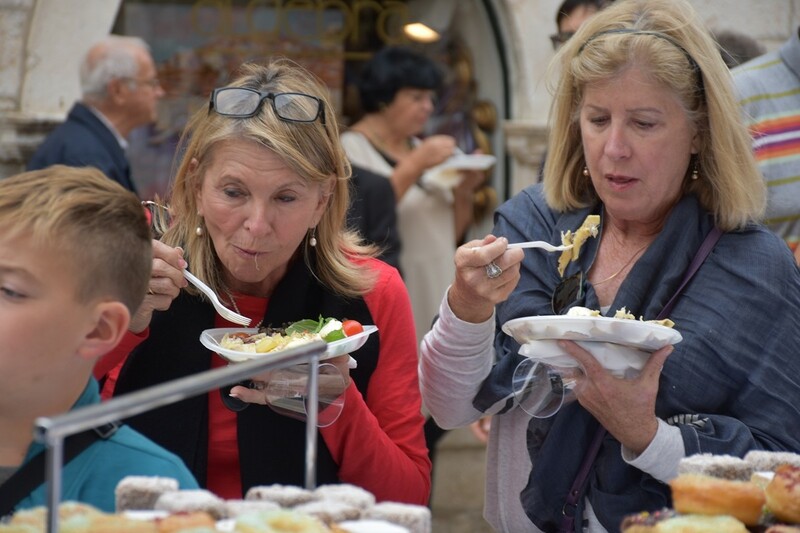 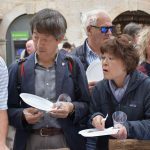 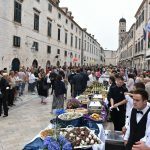 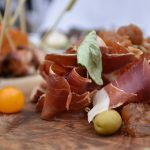 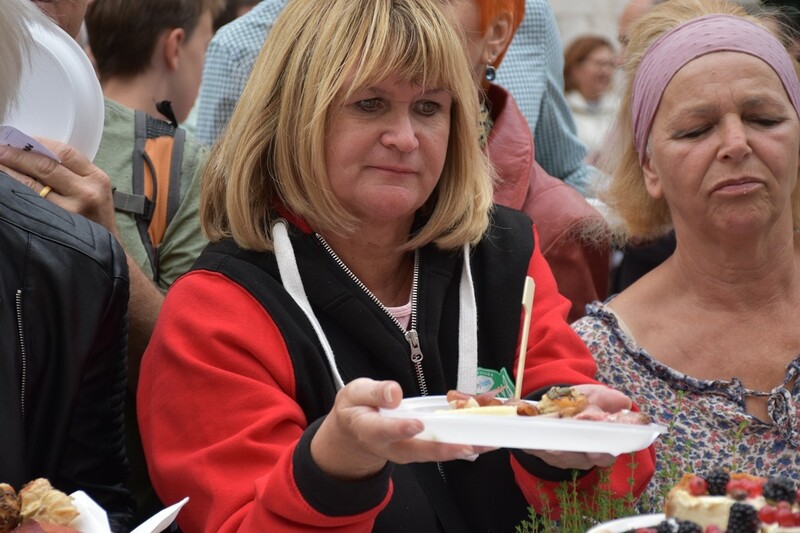 On a table that spans the entire length of Stradun, many Dubrovnik hotels and restaurants, bakers, confectioners, caterers, as well as winemakers presented their knowledge and skills, while locals and visitors enjoyed plenty of delicacies as well as wine tasting, all at symbolic prices. 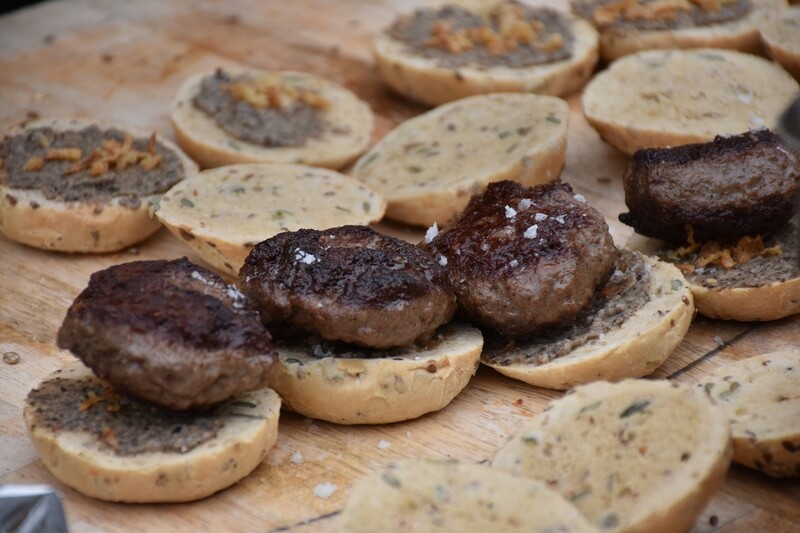 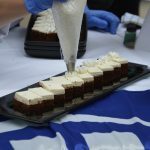 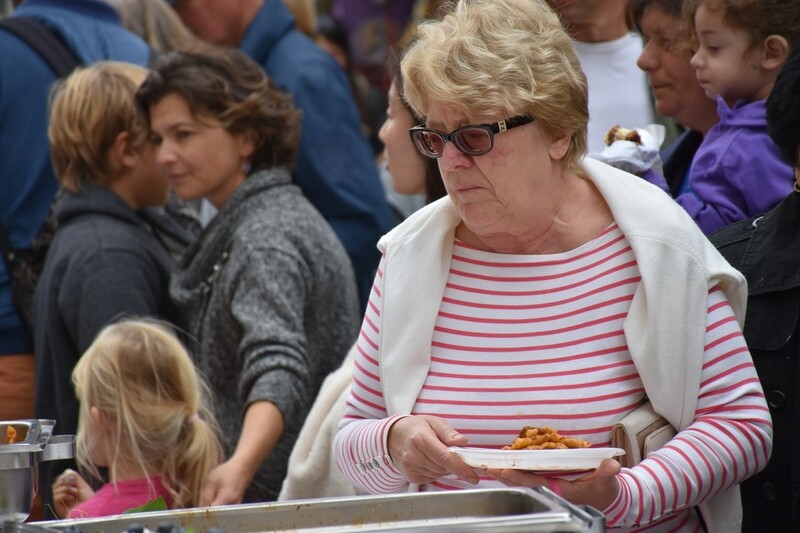 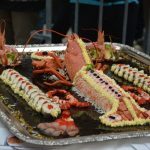 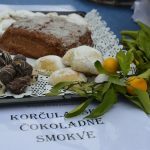 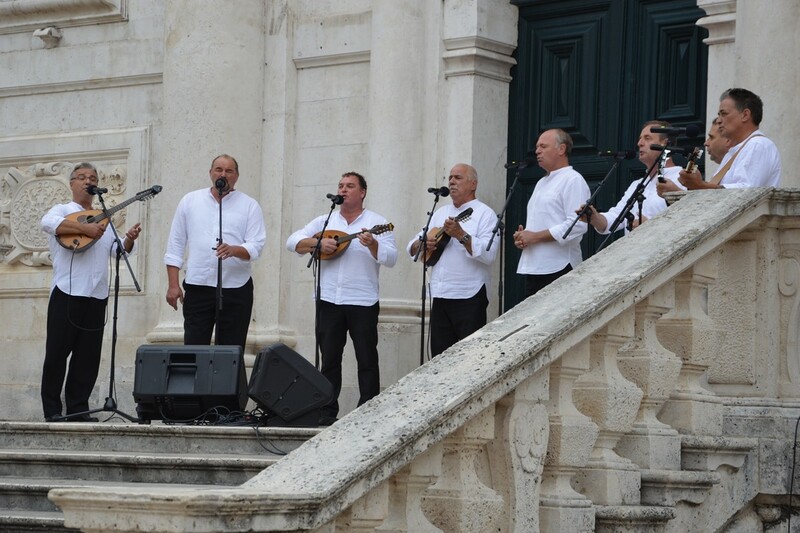 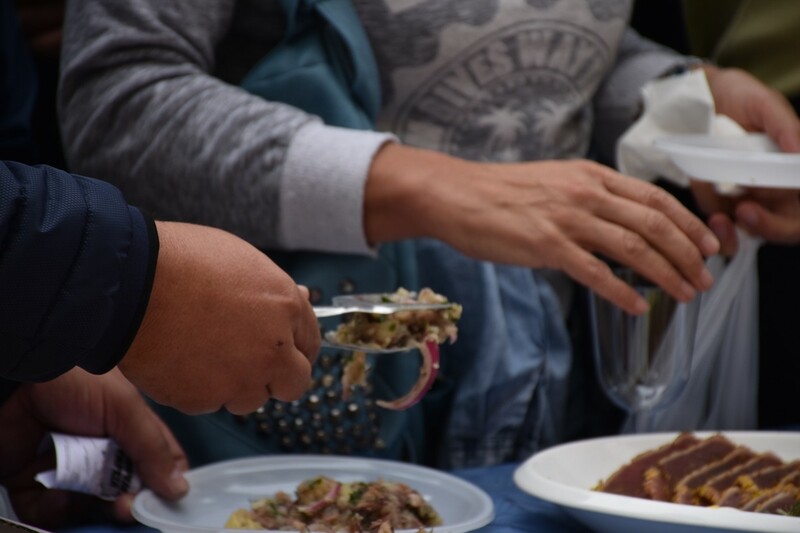 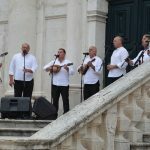 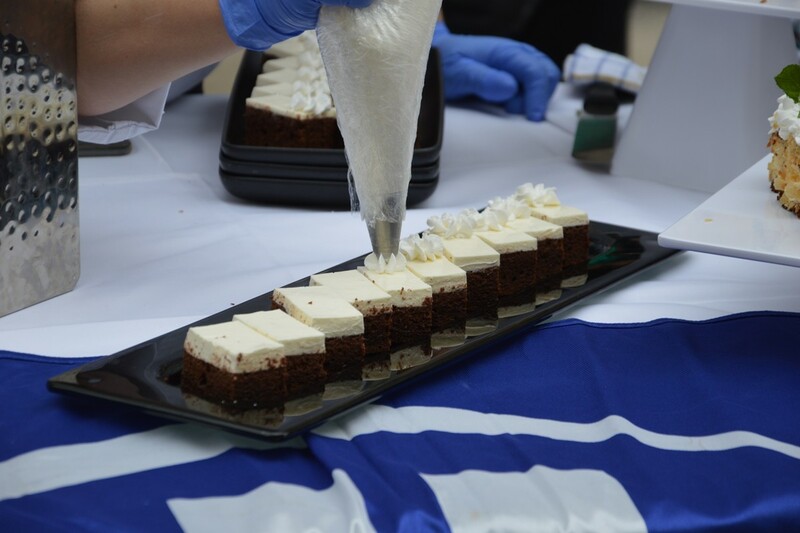 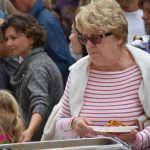 Each year, this is must-see and a treat for the palate for of all lovers of good food, accompanied this Sunday by a musical performance by the Subrenum klapa multipart singing group and a folklore performance by the St. George Cultural Arts Association from Osojnik. 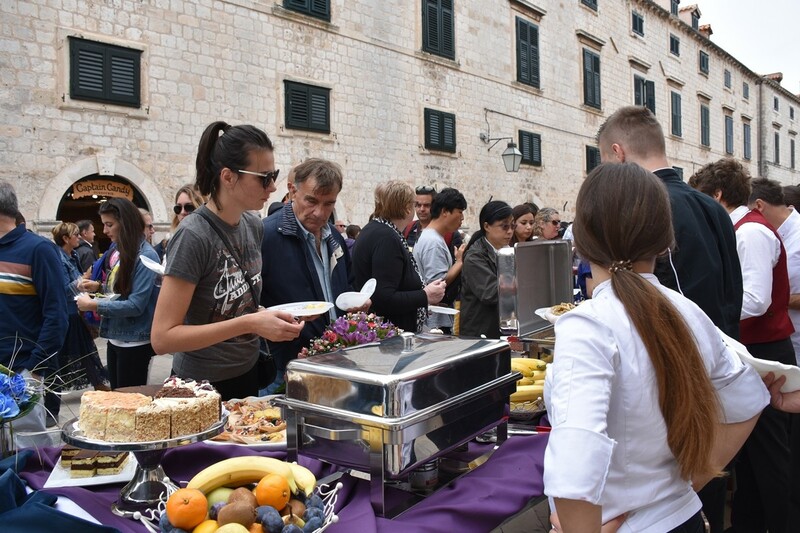 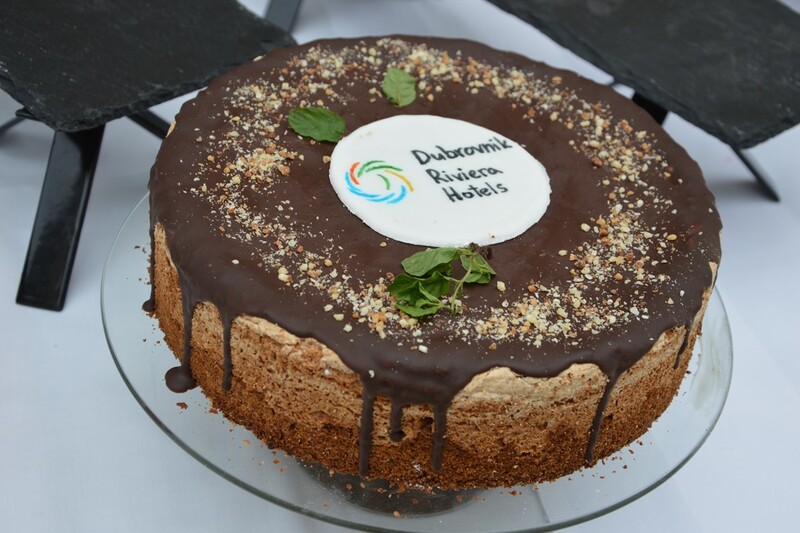 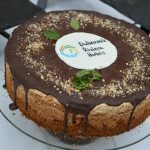 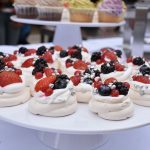 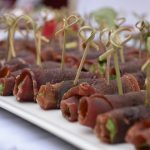 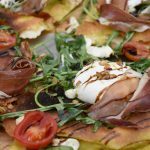 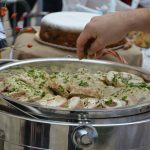 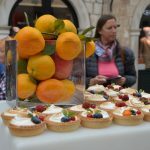 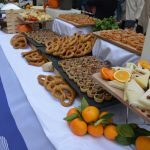 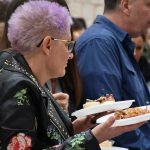 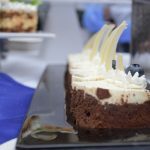 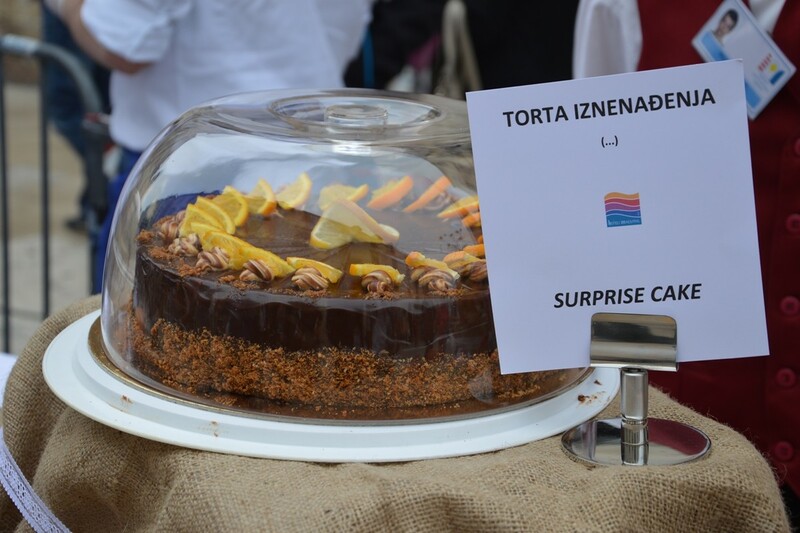 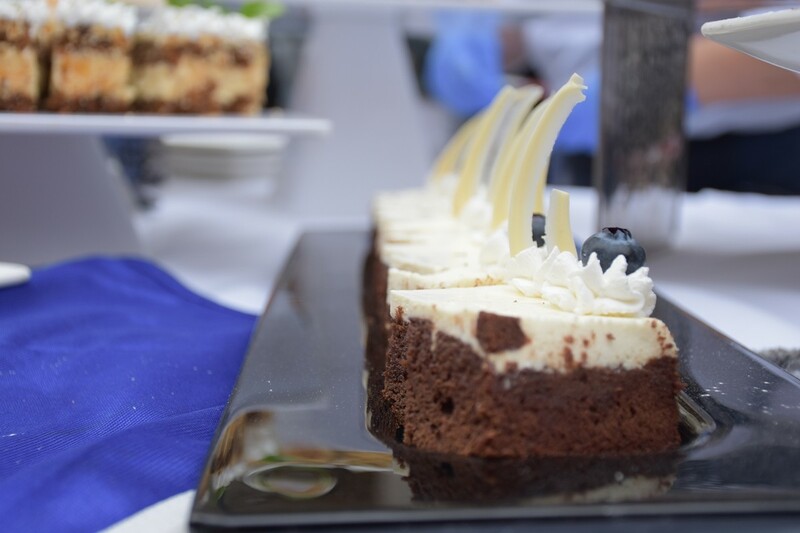 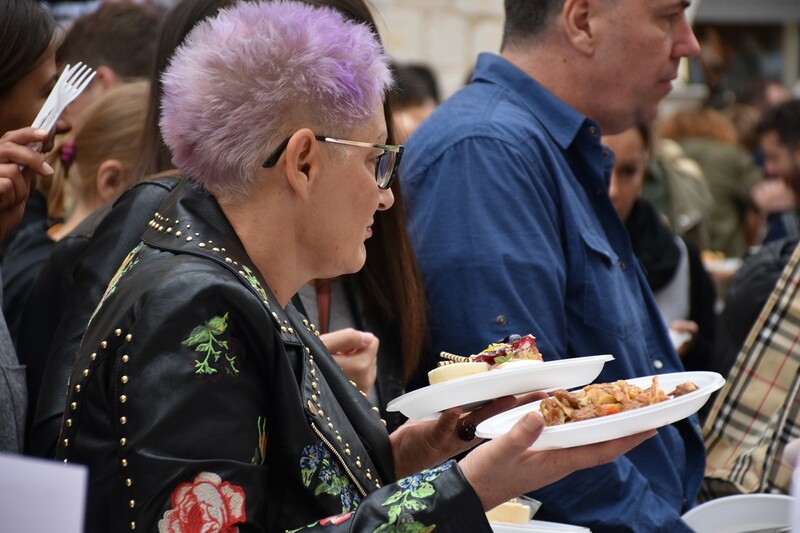 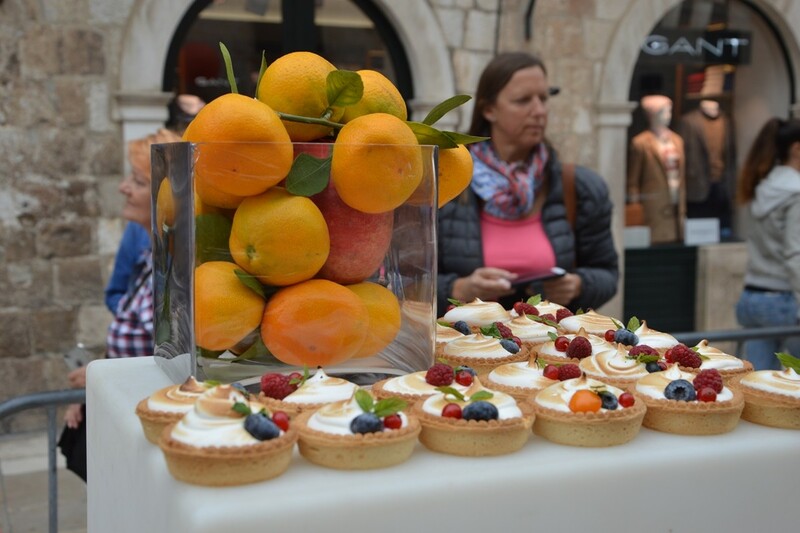 In line with a humanitarian focus, along with the Dubrovnik Table, the rich and varied brunch at Hotel Rixos Libertas, held last night, also had a charitable character. 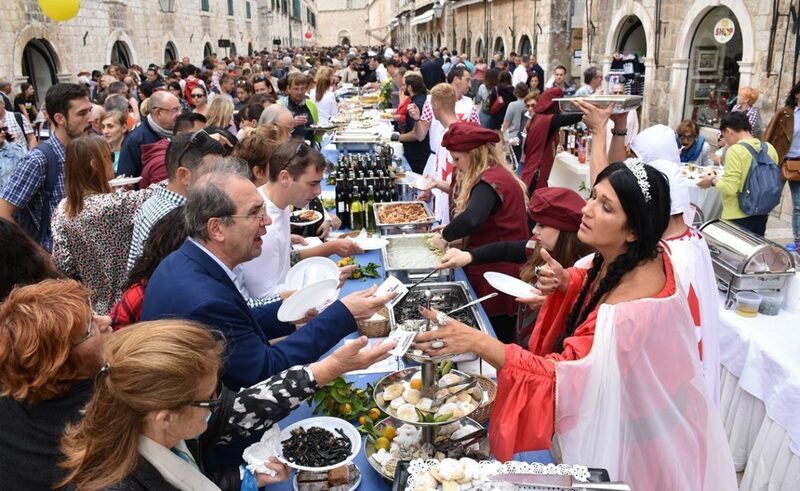 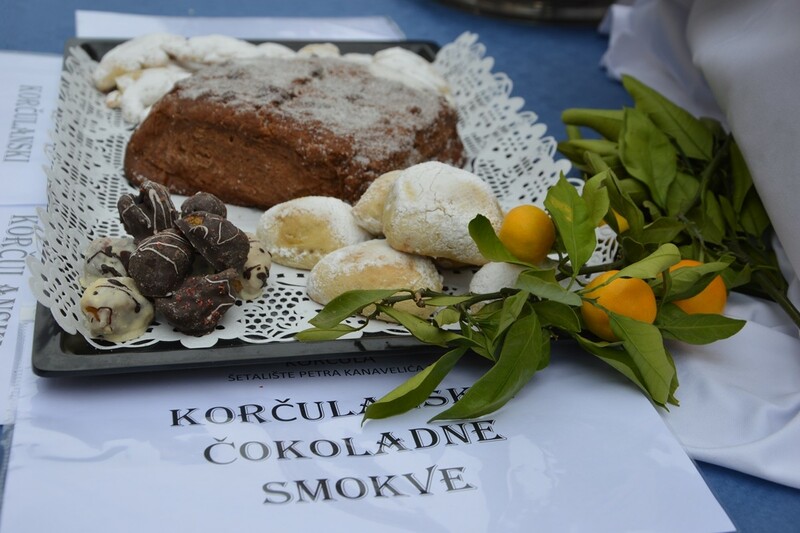 In total, a record number of 77 330 Kunas is collected today on Dubrovnik Table, 12 thousand more than last year. 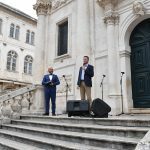 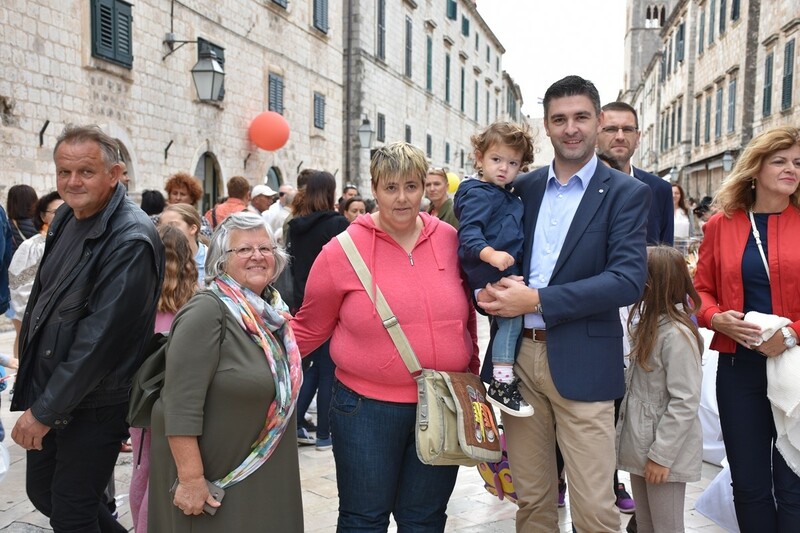 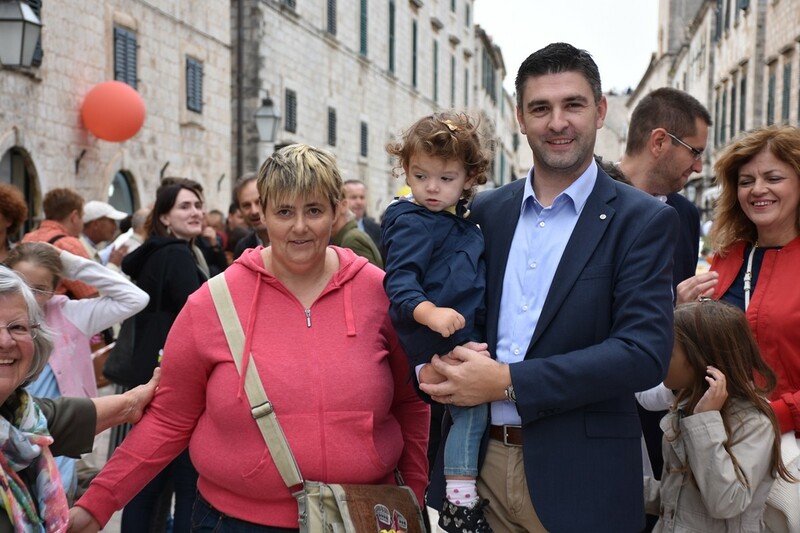 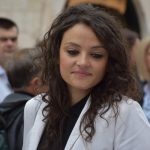 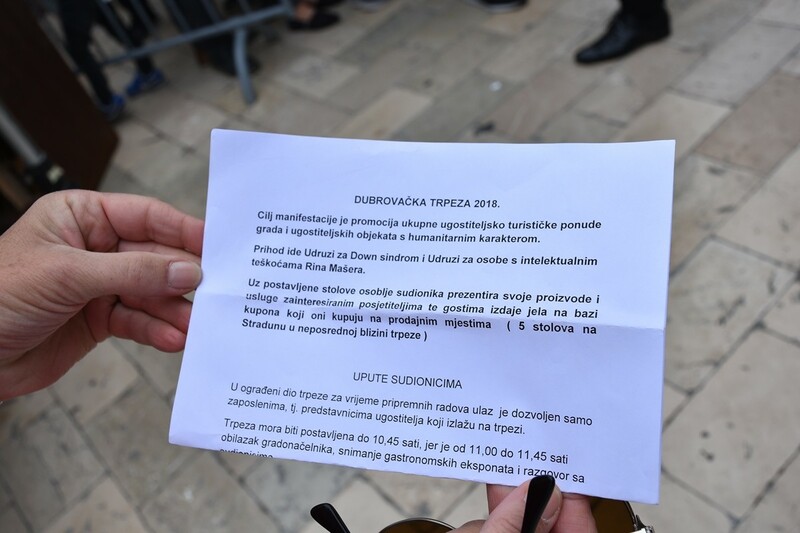 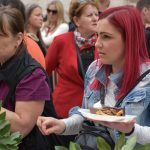 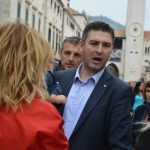 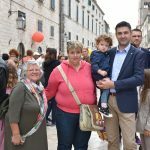 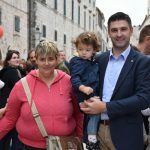 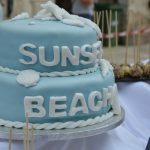 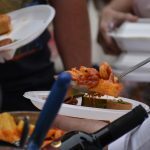 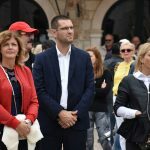 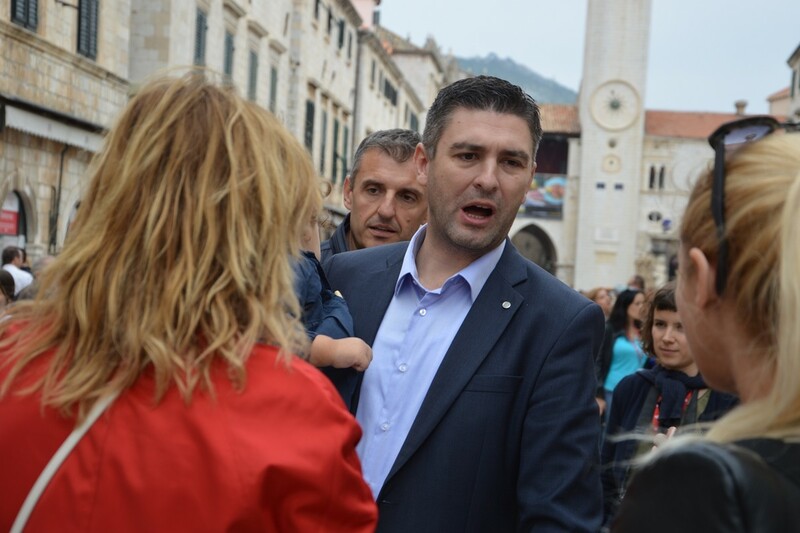 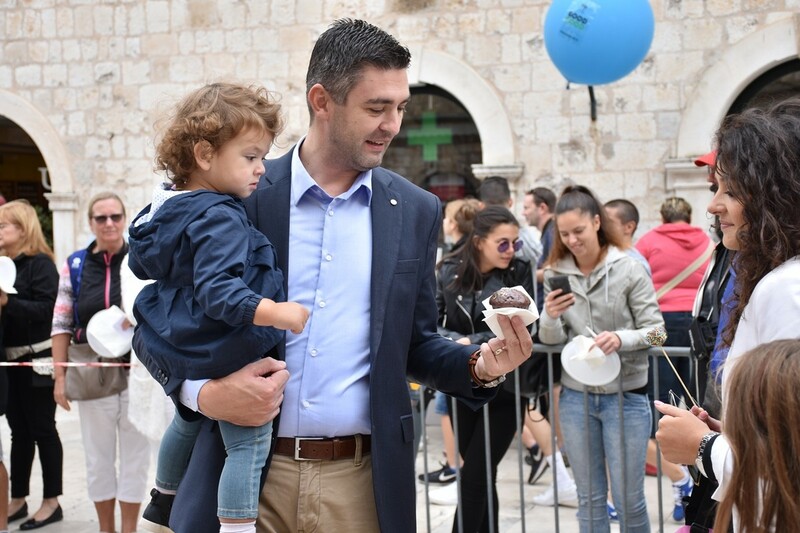 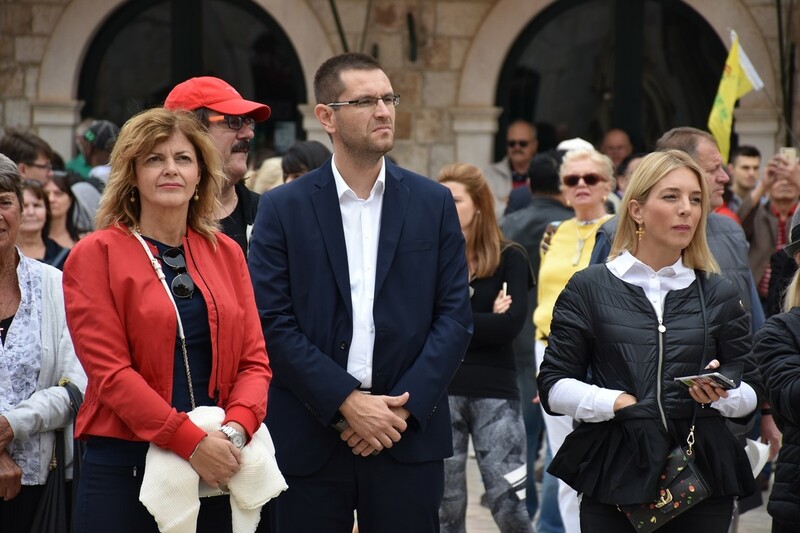 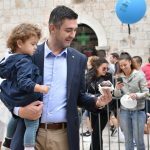 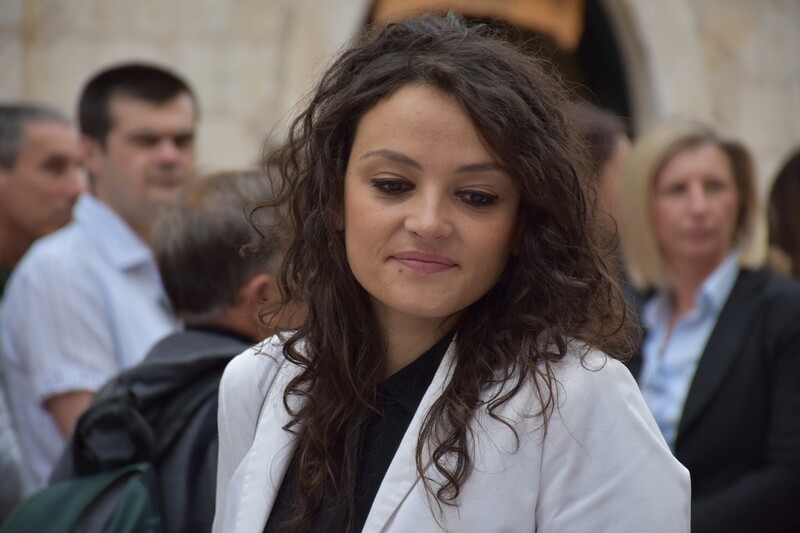 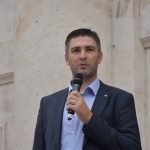 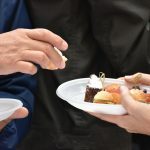 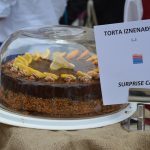 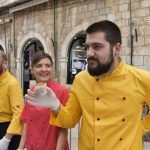 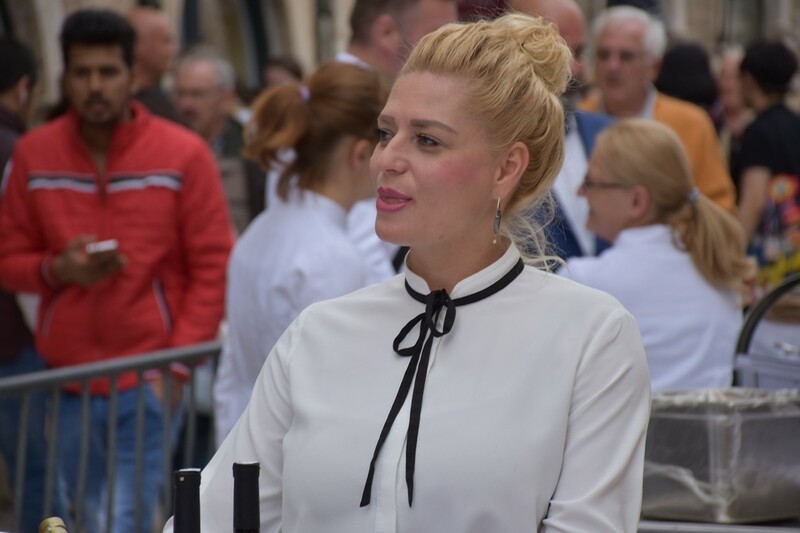 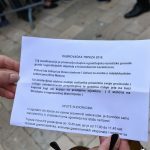 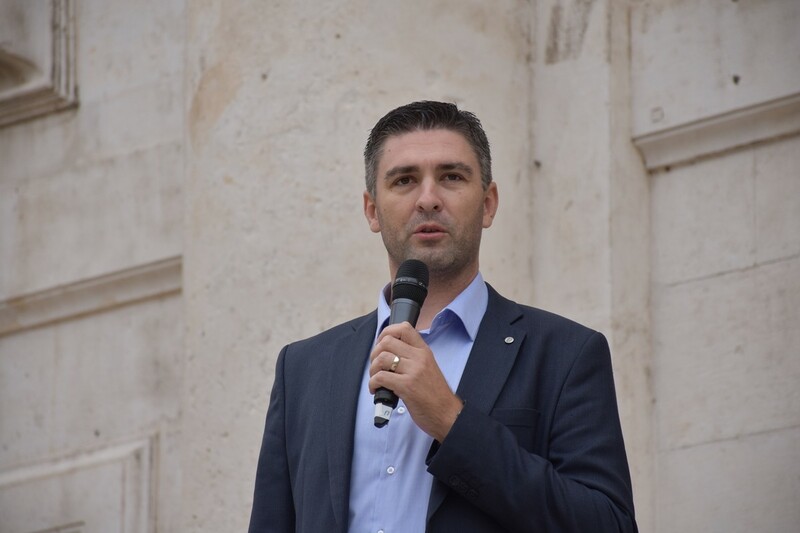 This money will be given to Down Syndrome Association of Dubrovnik Neretva County, and the Association of Persons with Intellectual Disabilities ‘Rina Mašera’, while the money collected on Brunch goes for the treatment of one little girl from Dubrovnik. 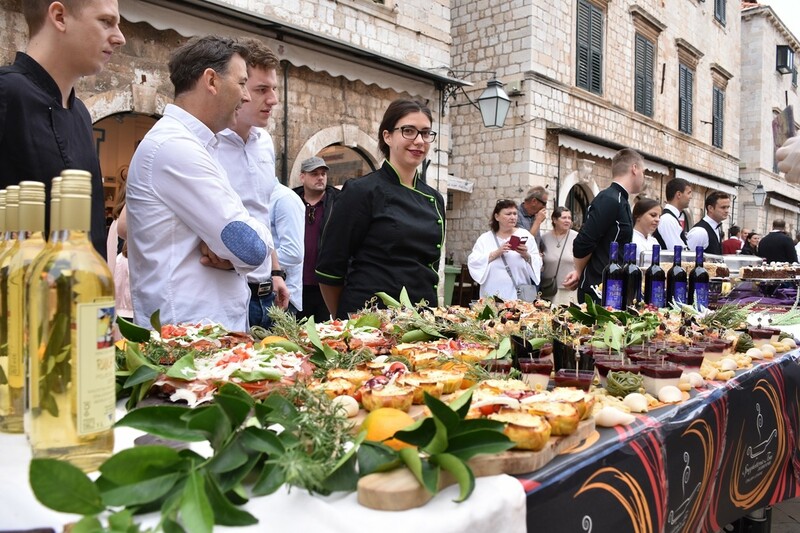 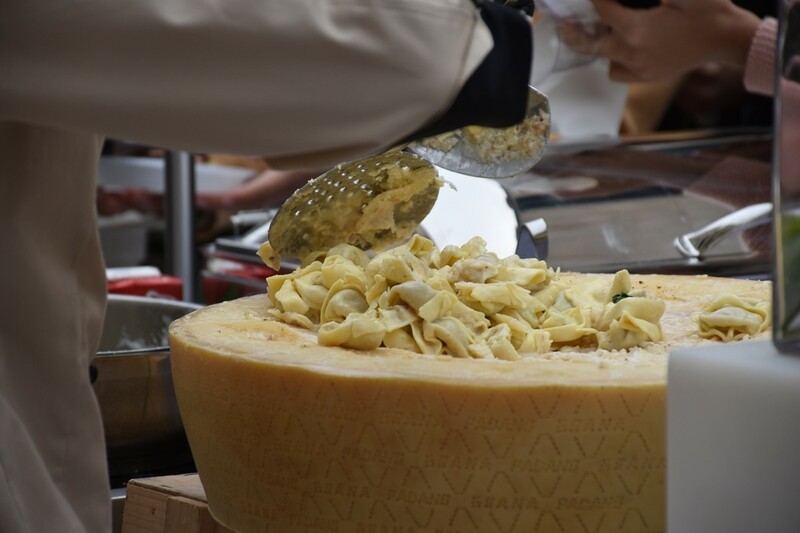 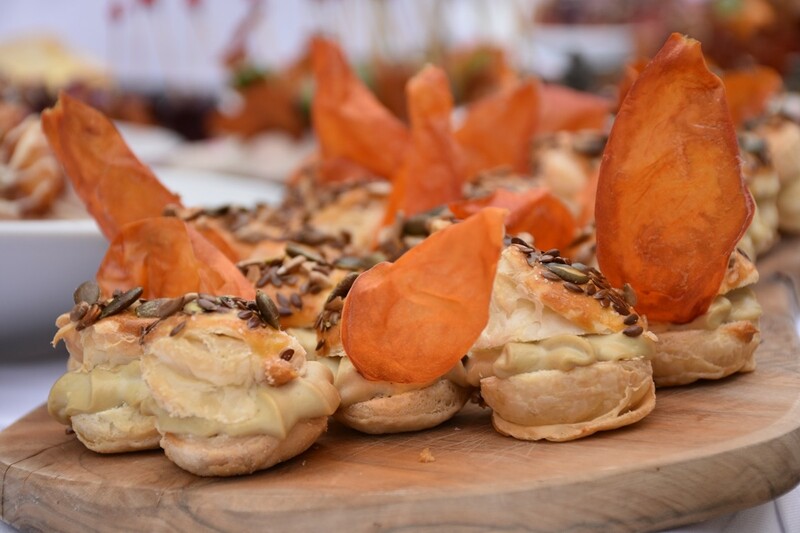 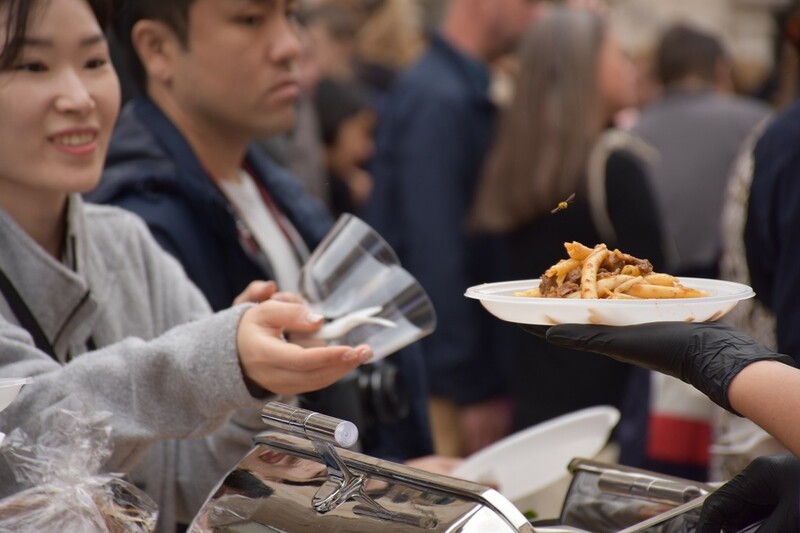 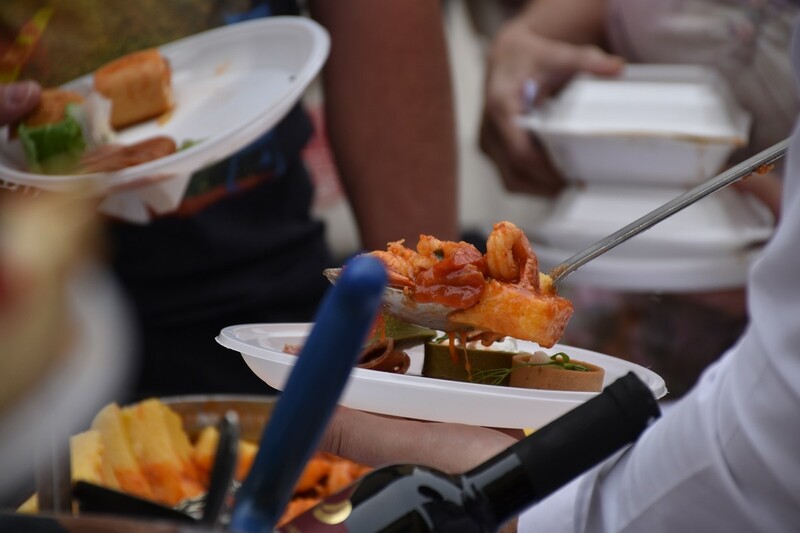 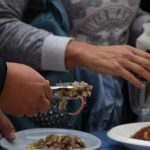 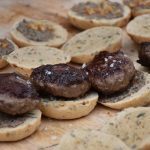 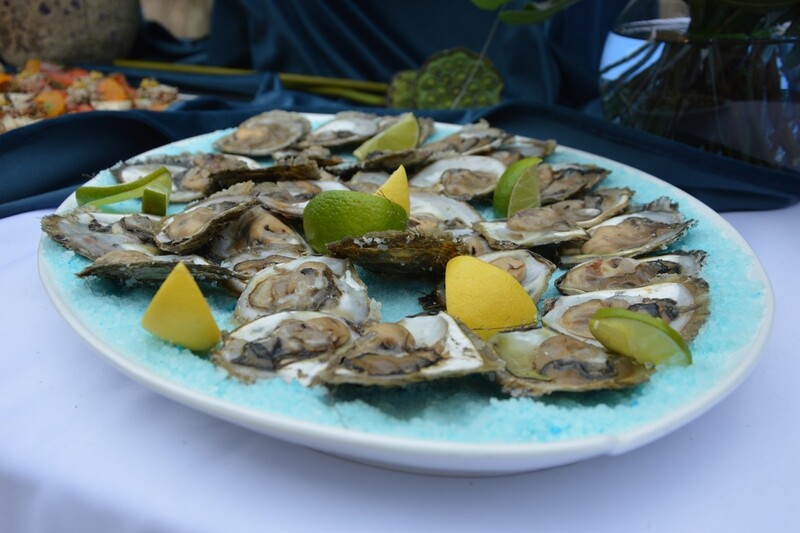 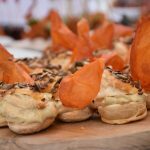 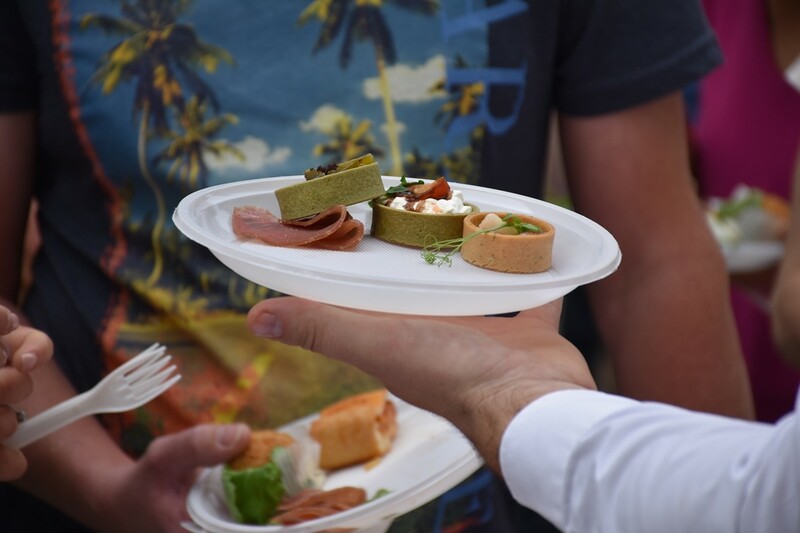 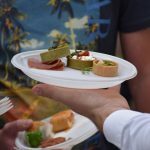 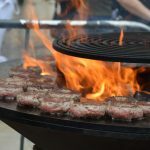 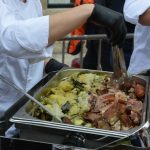 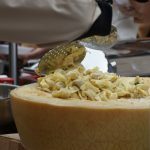 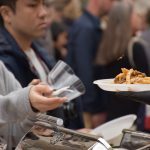 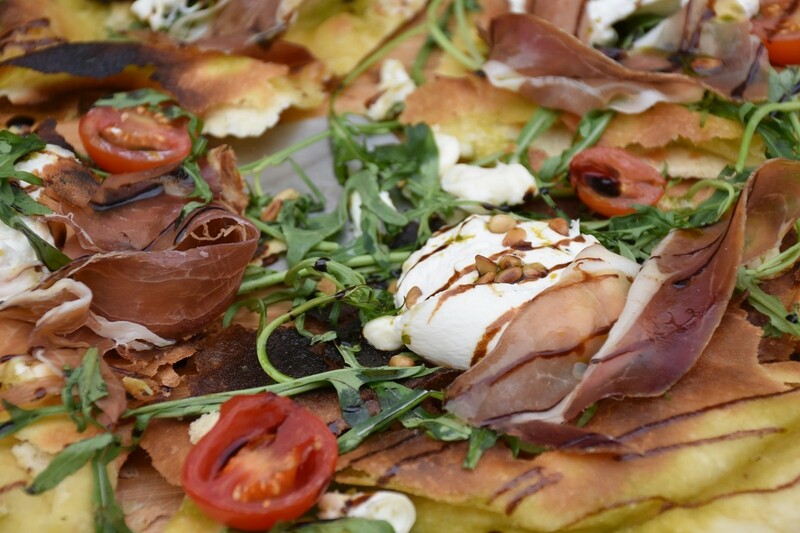 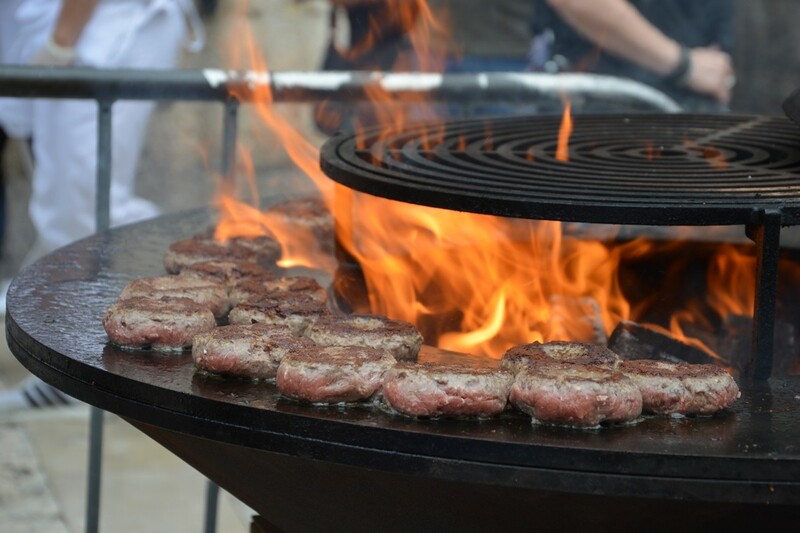 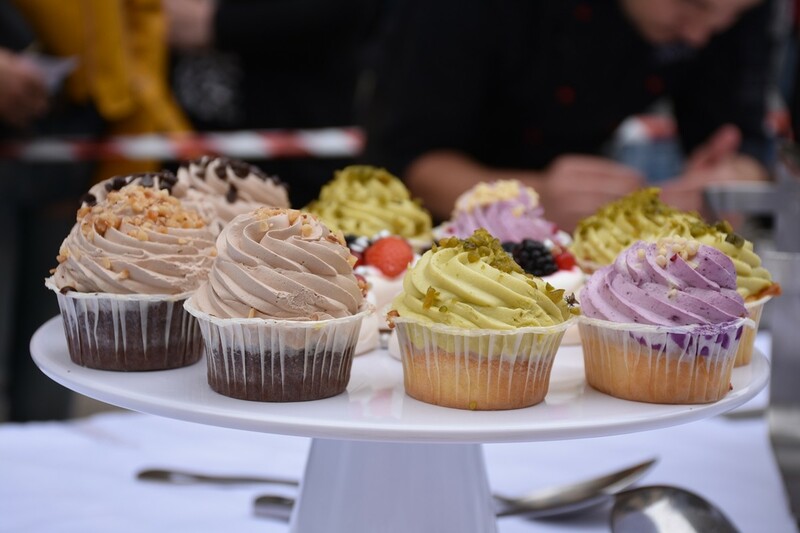 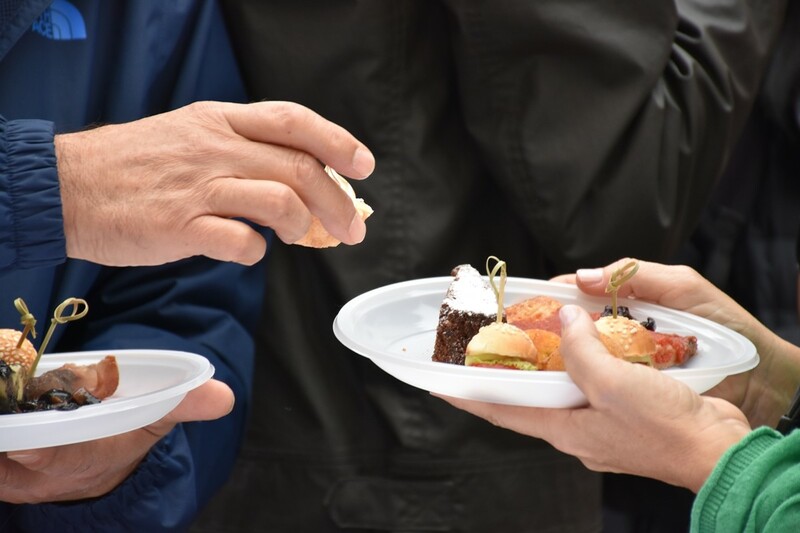 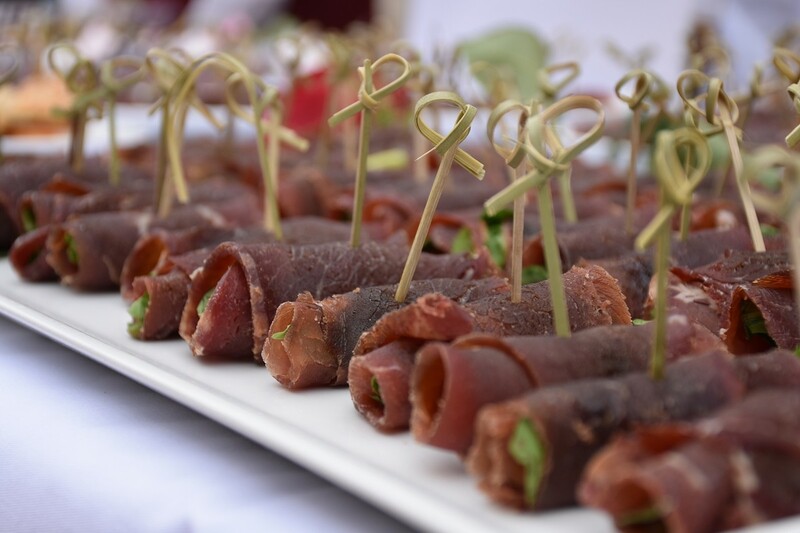 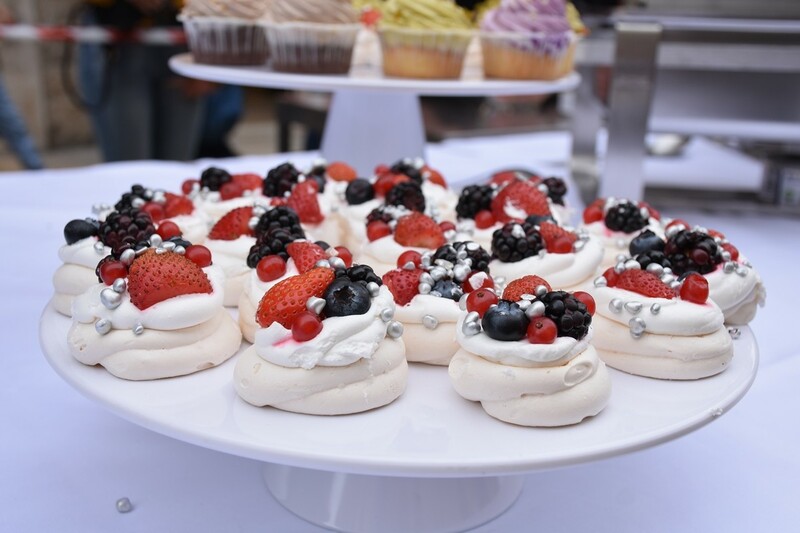 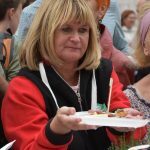 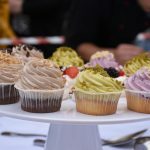 In total, this year’s Good Food Festival, fifth edition, was a truly amazing gastronomical experience – now we just have to wait for the next 365 days, until the #6 edition comes out!